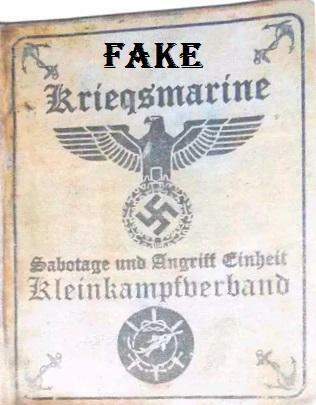 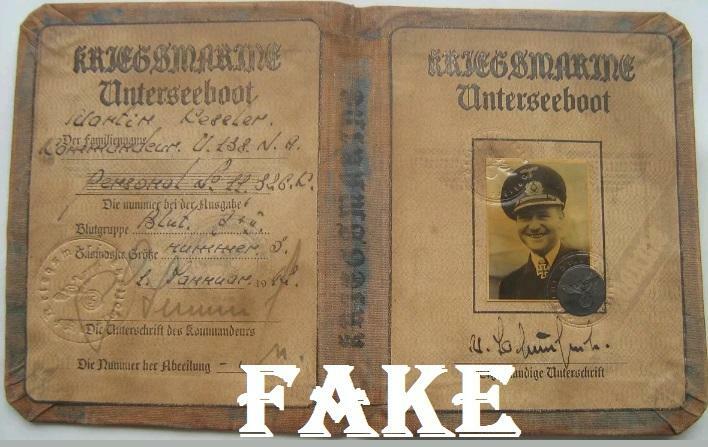 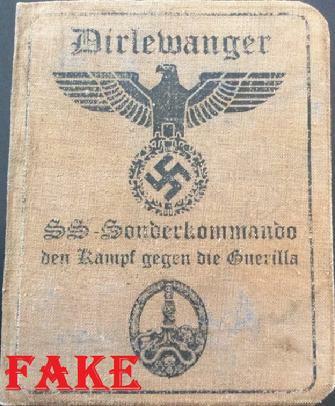 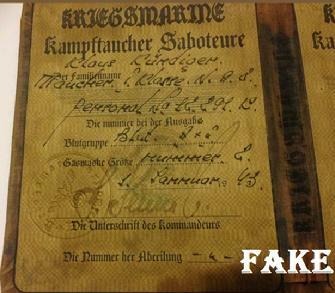 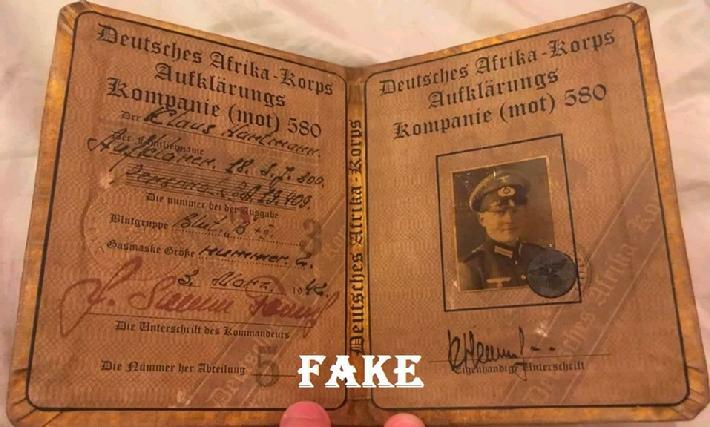 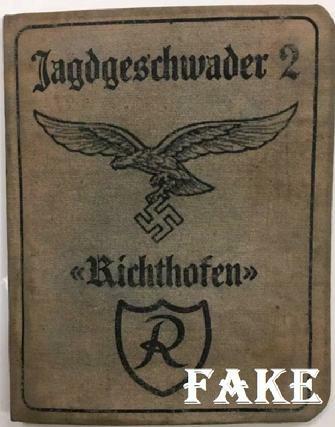 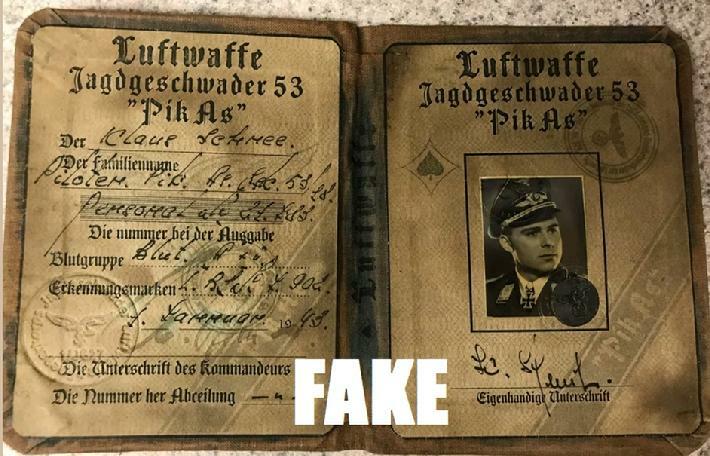 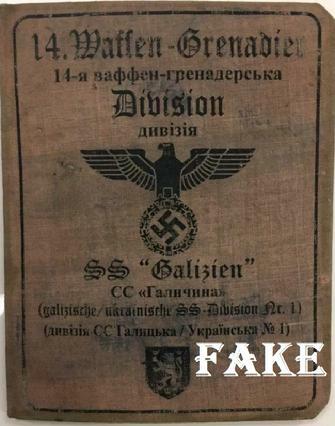 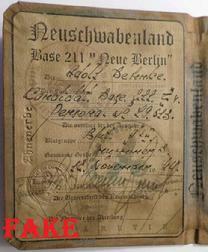 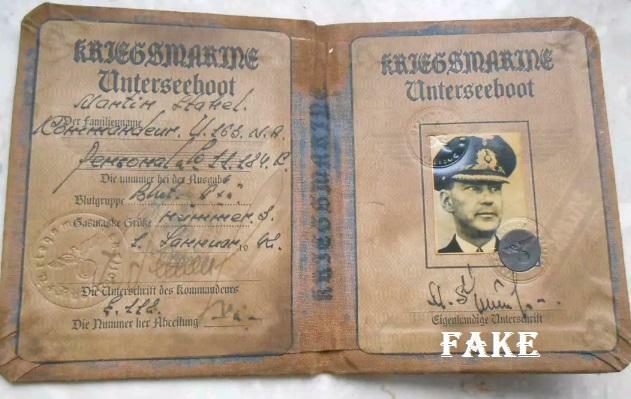 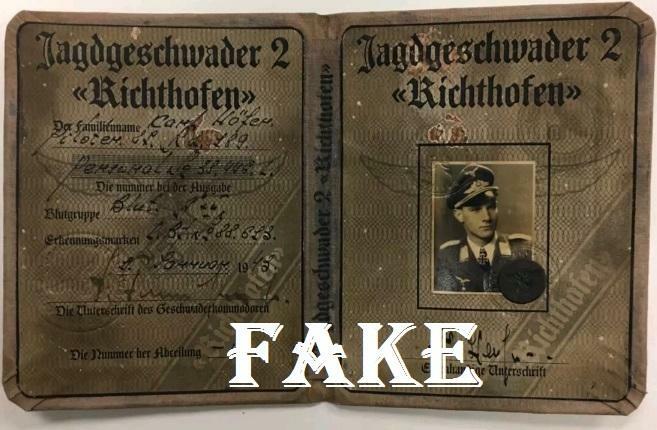 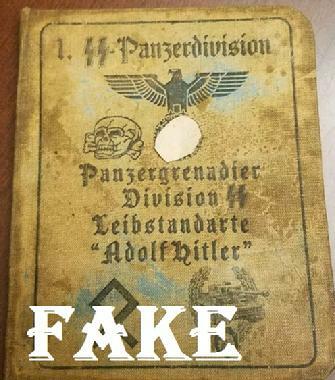 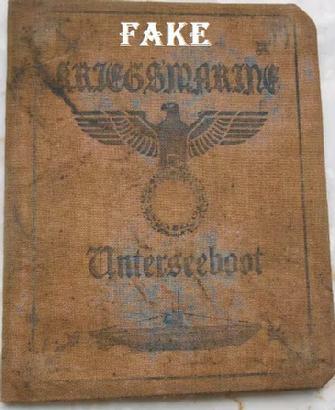 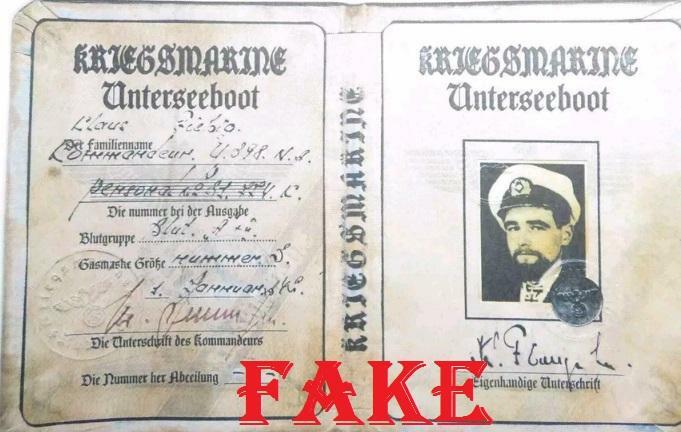 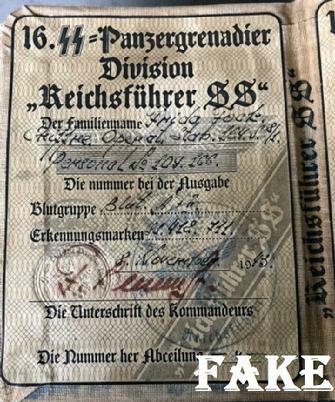 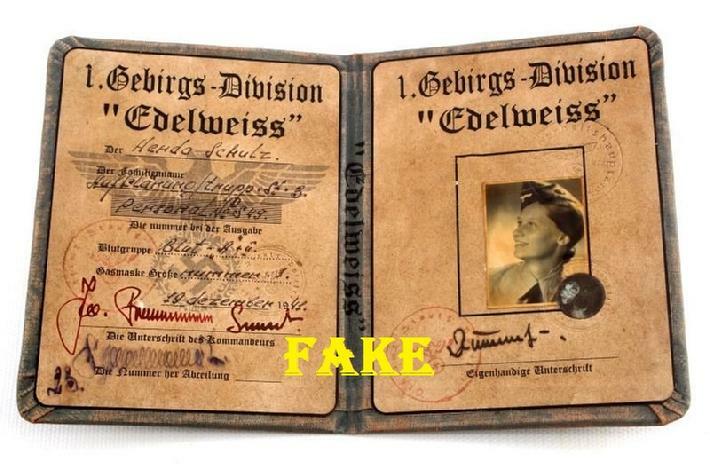 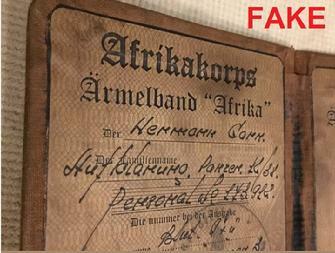 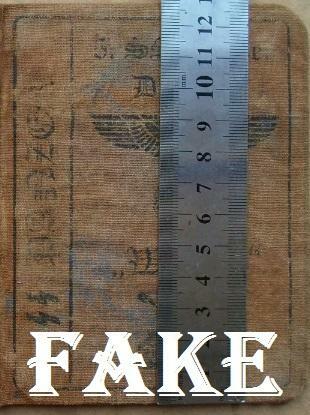 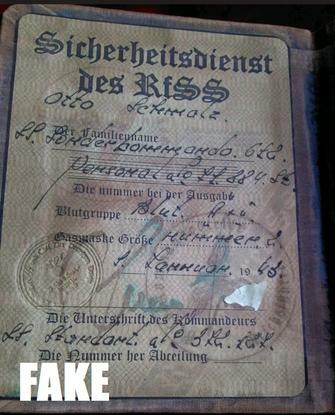 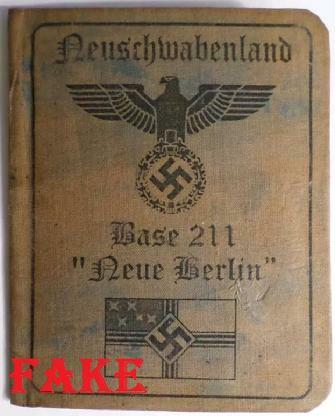 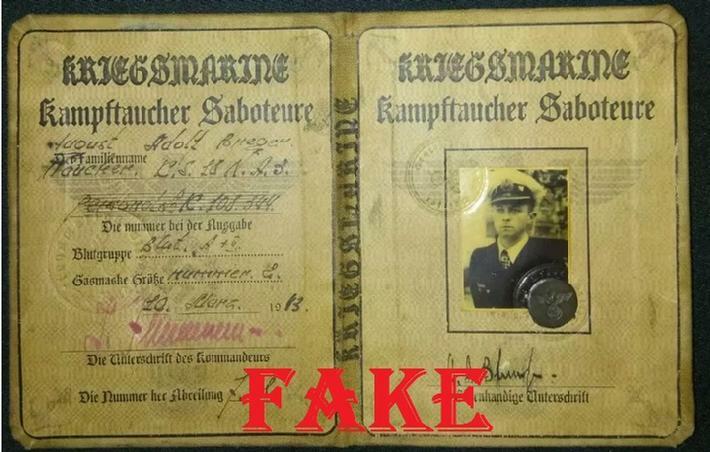 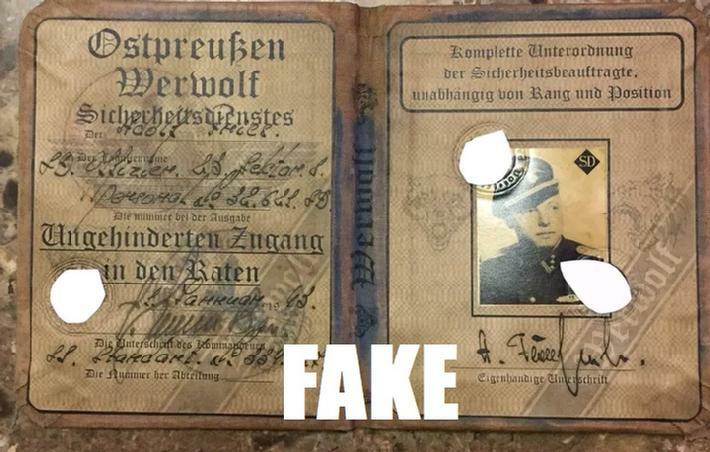 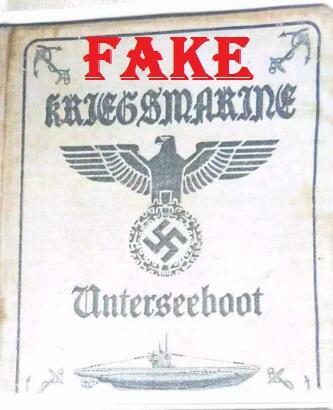 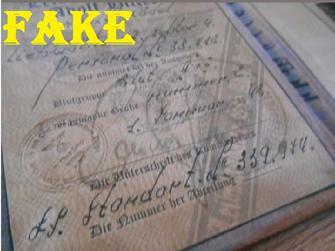 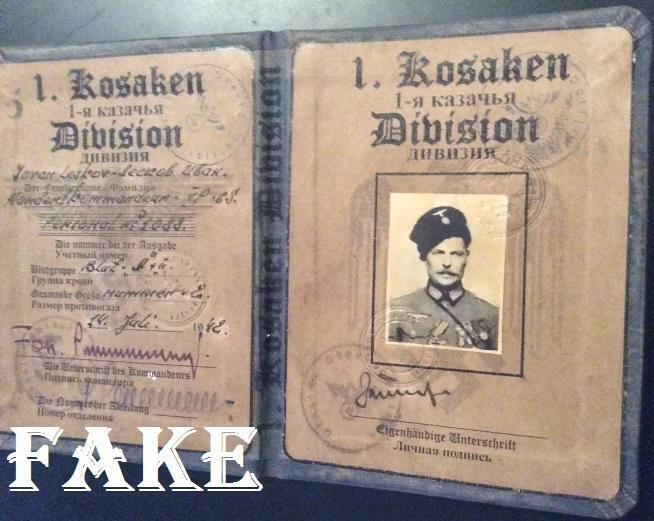 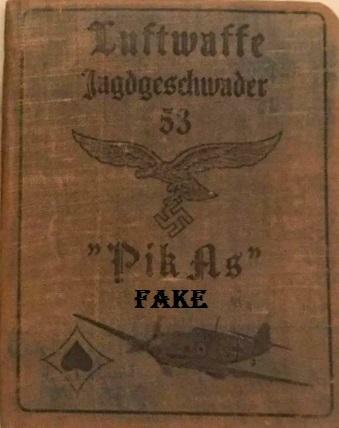 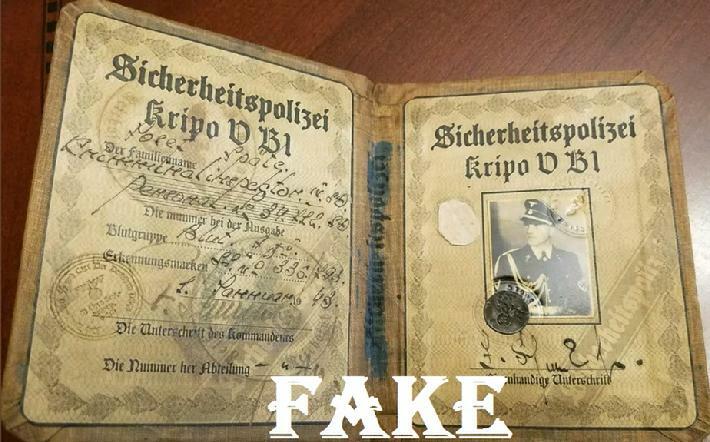 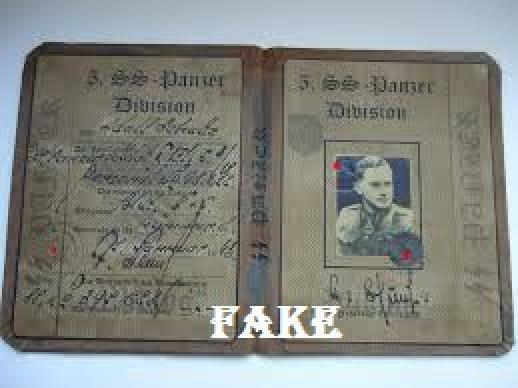 Being thoroughly disgusted by the volume of fake passbooks like these flooding onto ebay lately I’ve had to build another page just to accommodate them. 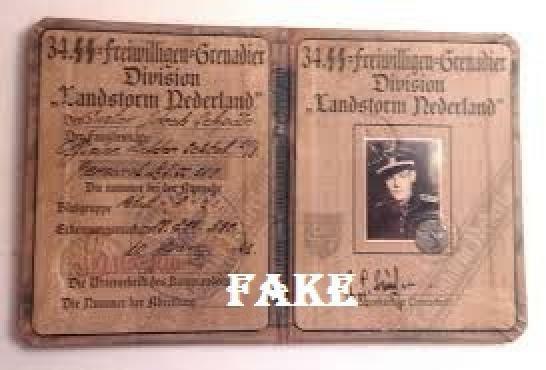 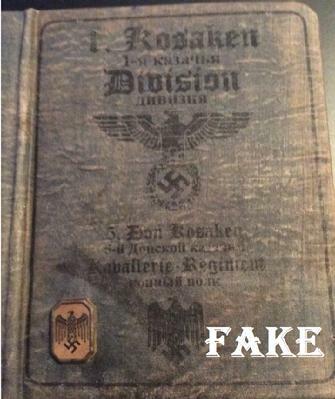 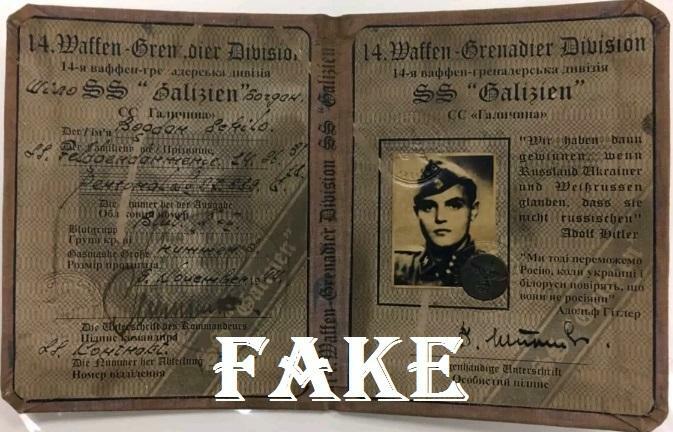 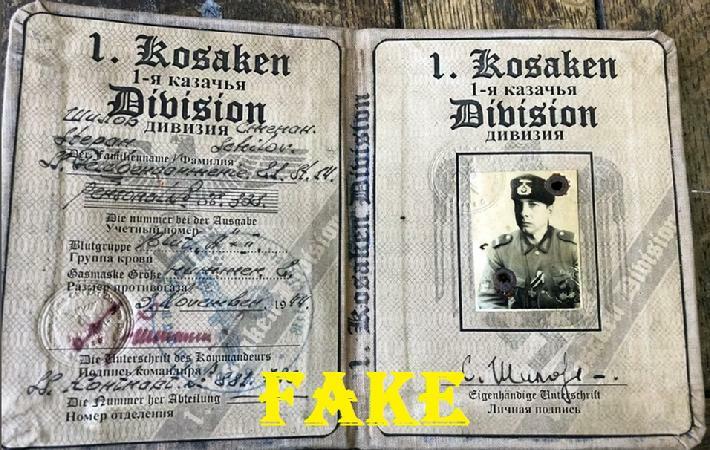 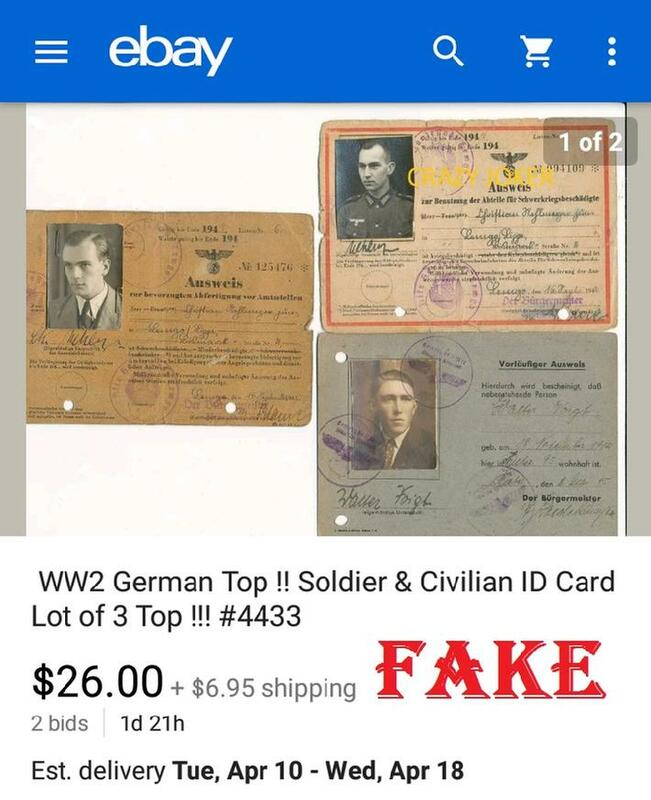 Many of these fakes are being sold by gerrhembr_0 of on ebay; however, I'm pretty sure most of these ID's are being sold by the same person under various names and addresses as they are usually all posted within the same hour. 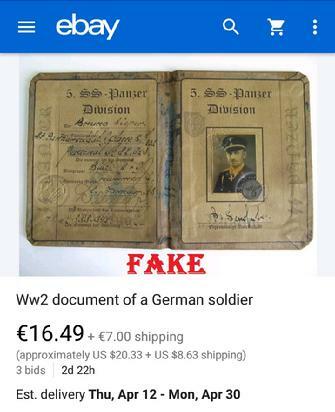 Another seller you really want to avoid is dredd_collection, a scam artist working out of the Netherlands, home to the same company making and selling them online for "reeenactment purposes". 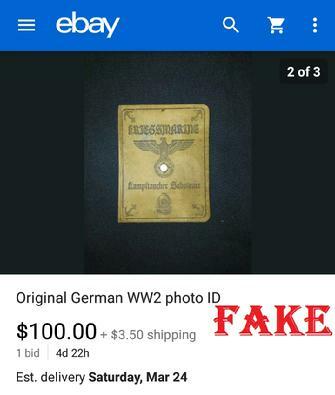 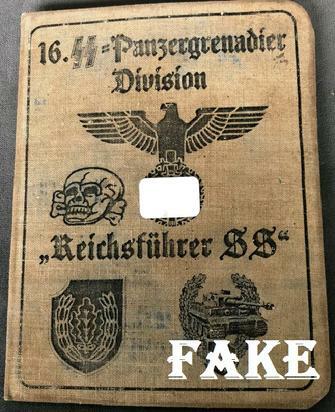 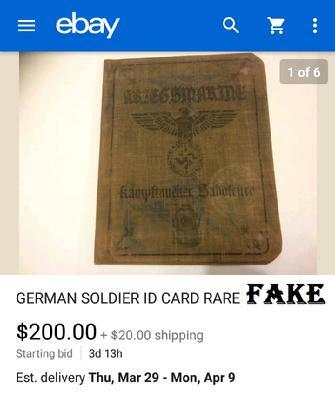 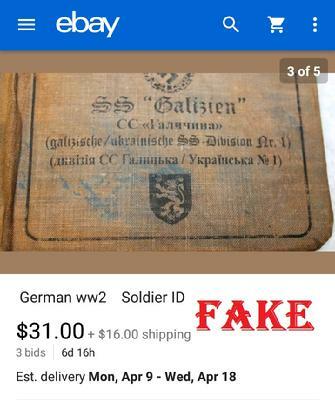 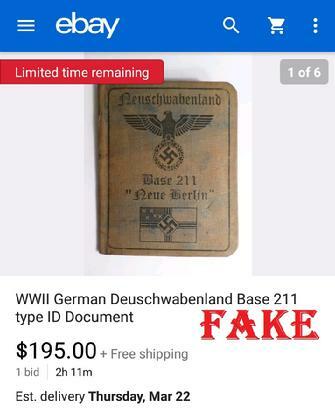 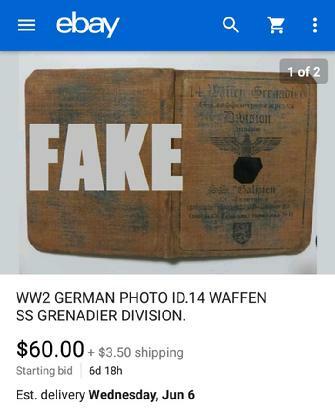 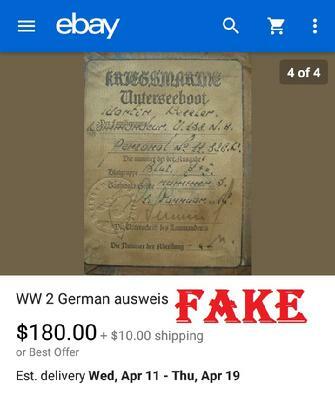 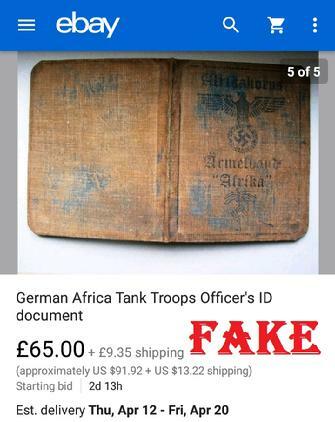 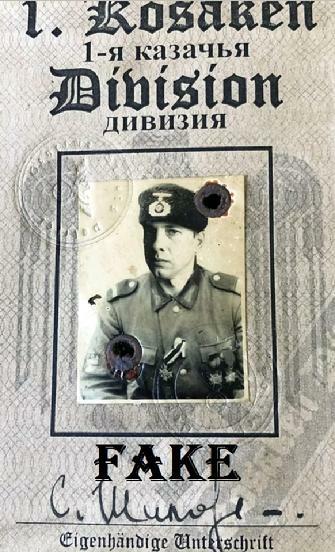 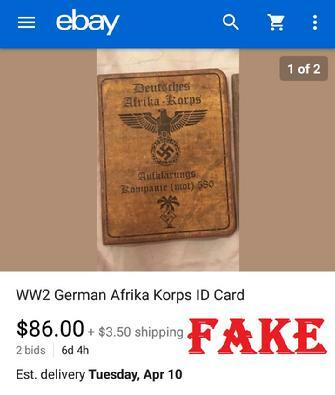 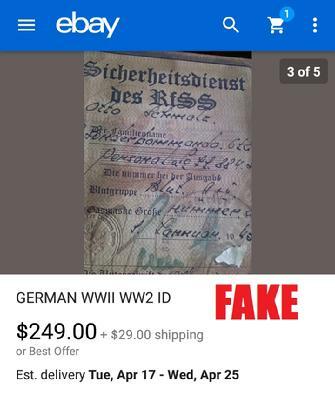 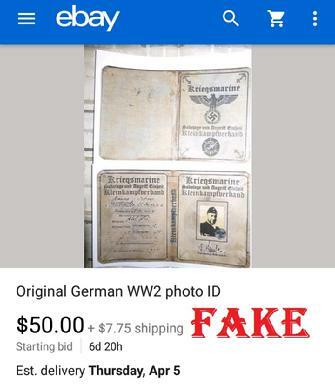 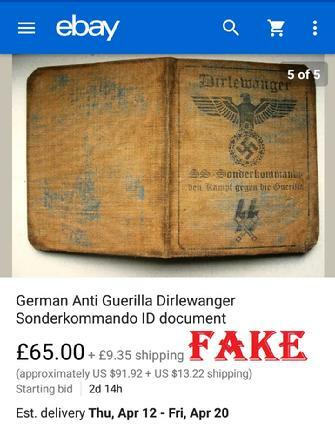 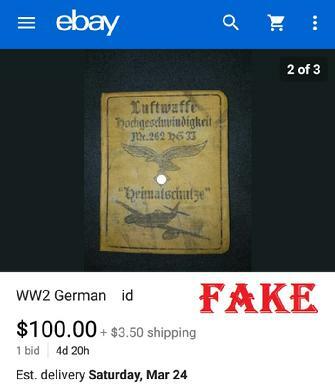 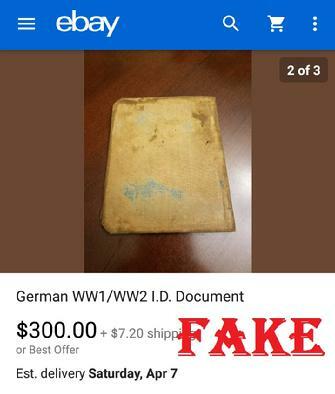 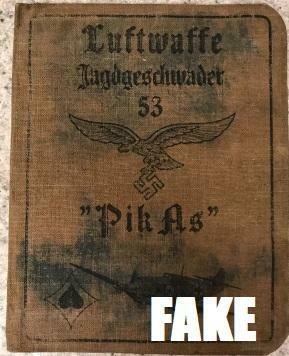 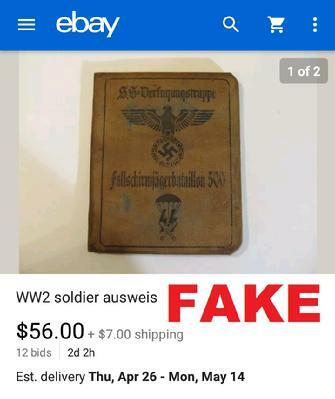 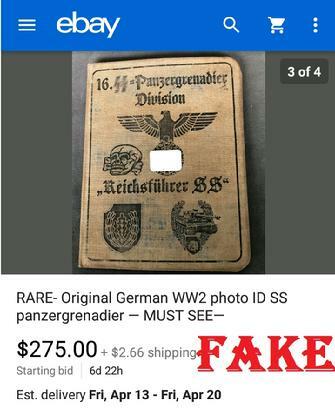 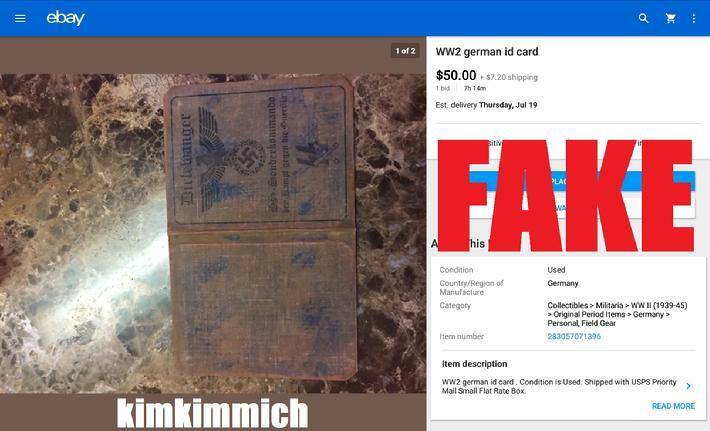 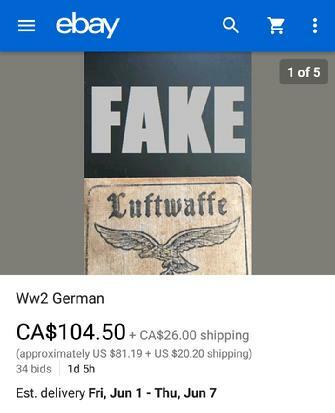 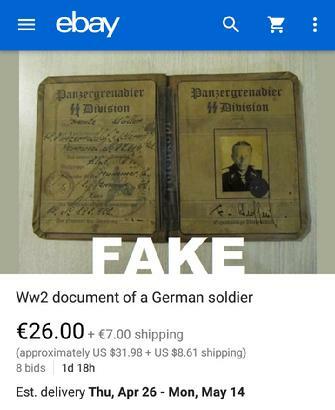 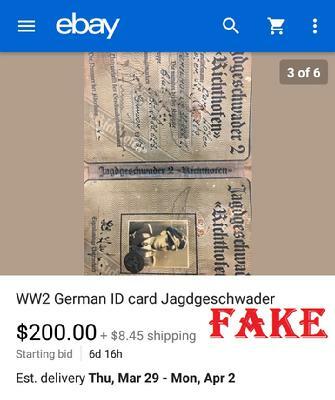 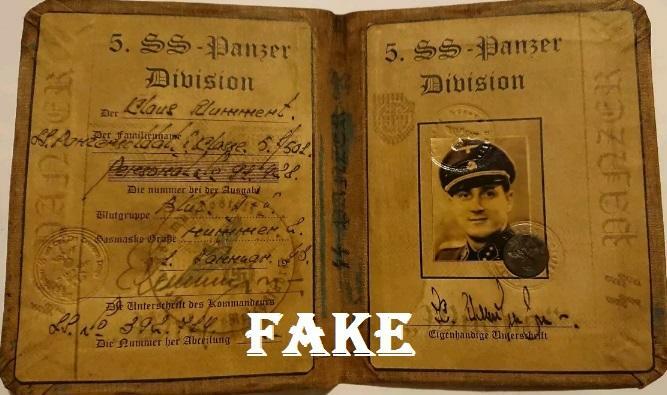 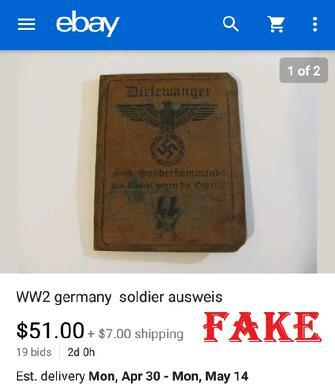 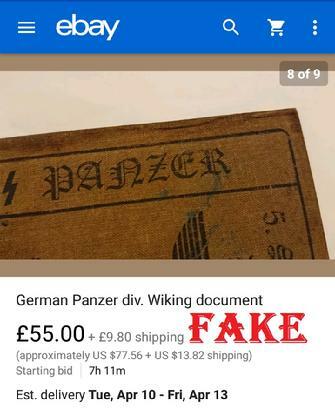 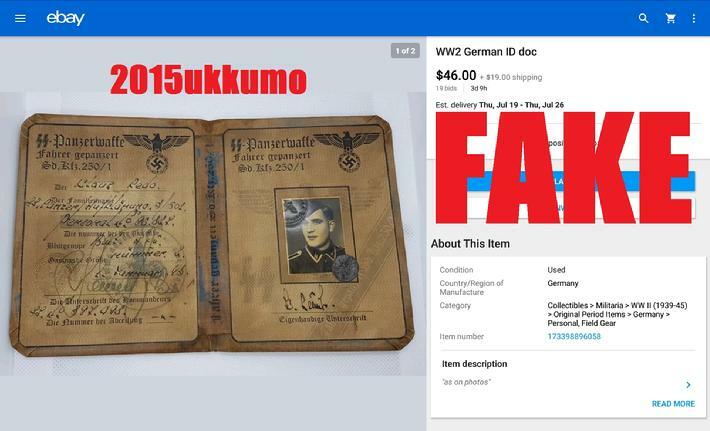 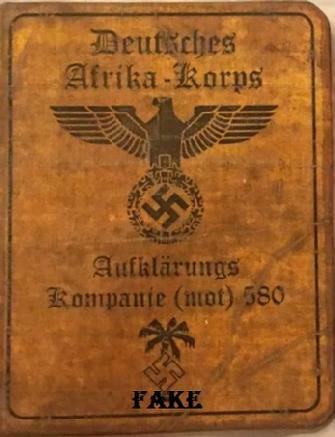 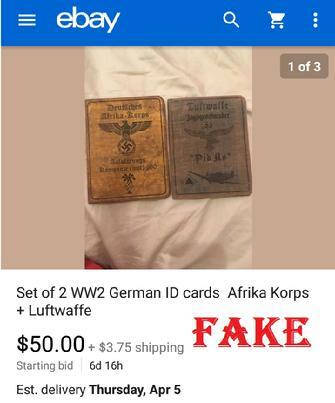 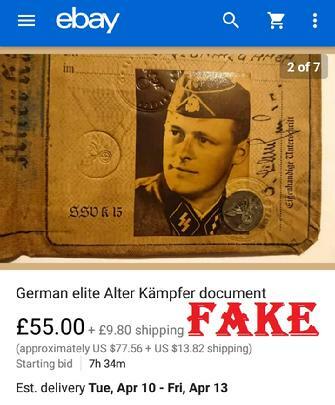 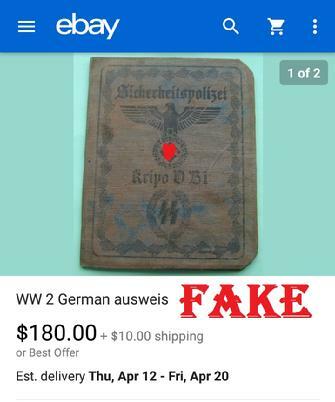 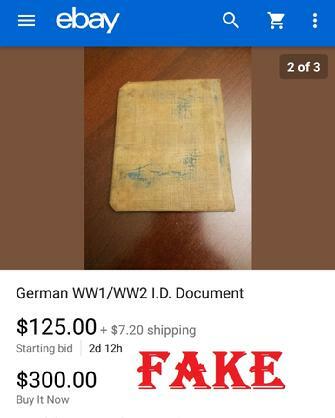 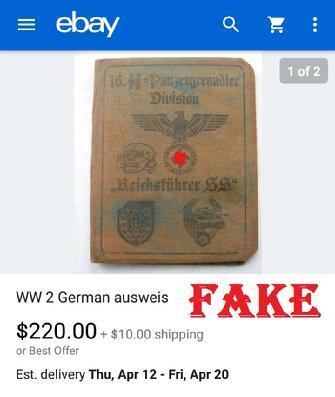 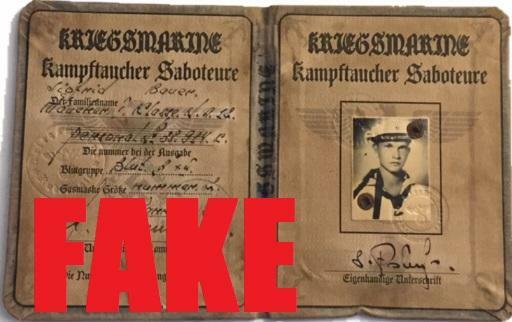 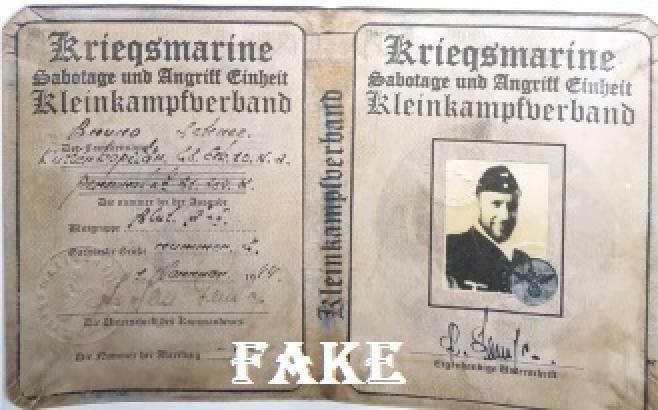 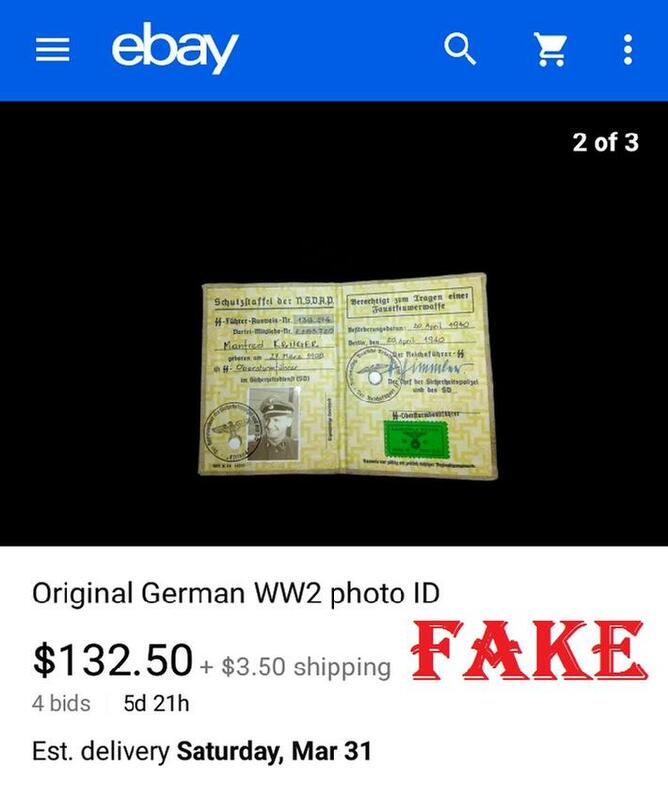 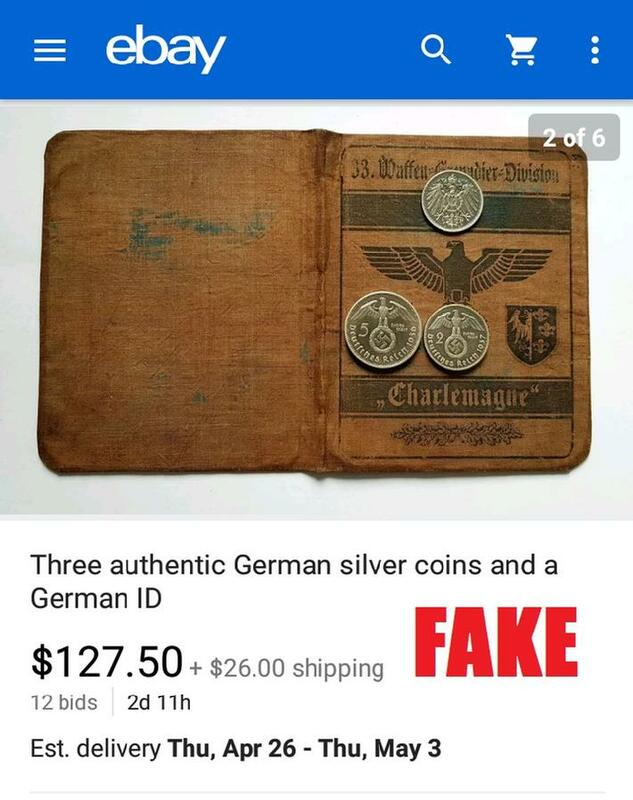 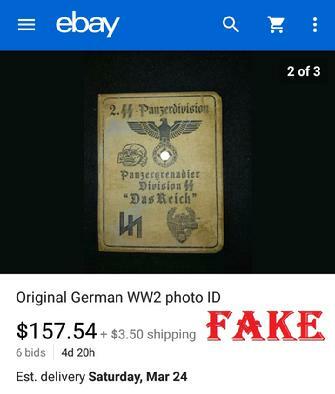 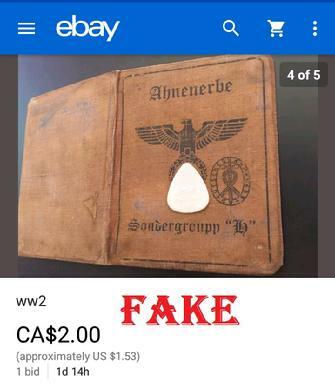 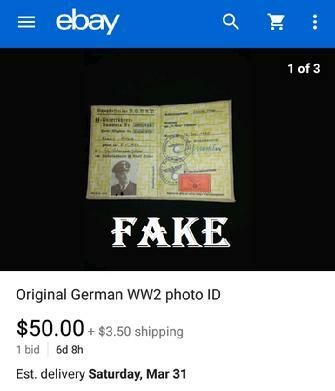 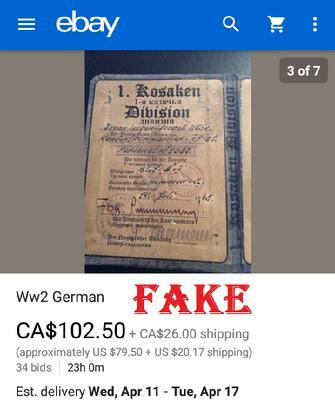 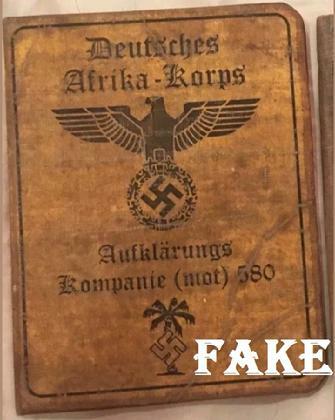 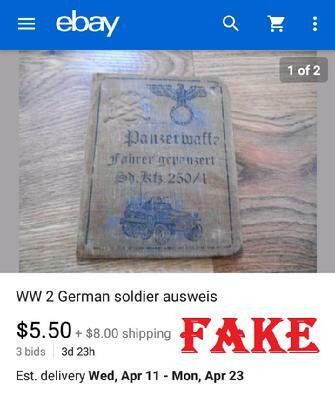 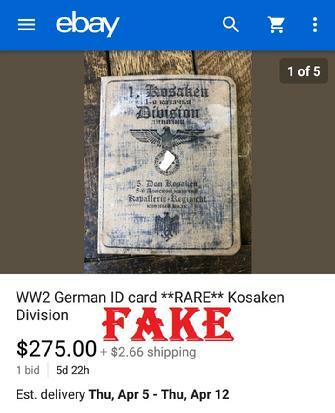 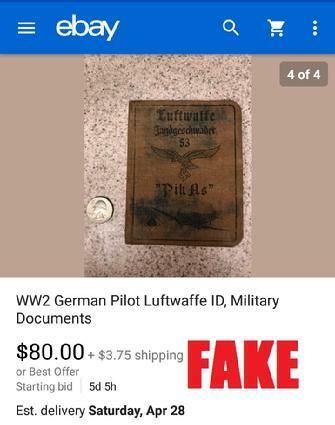 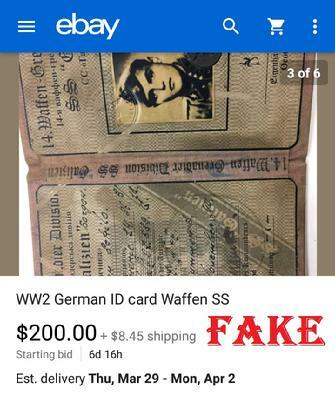 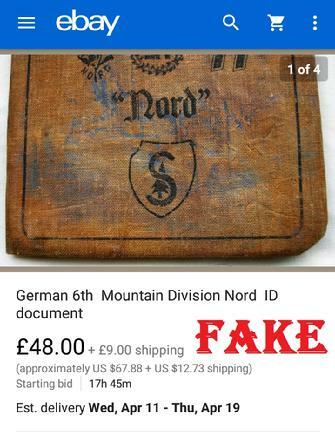 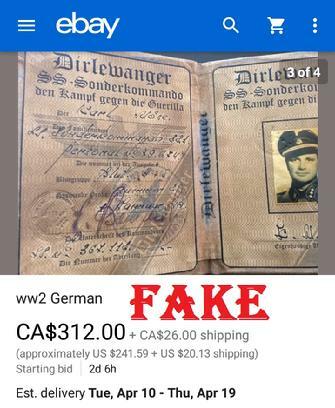 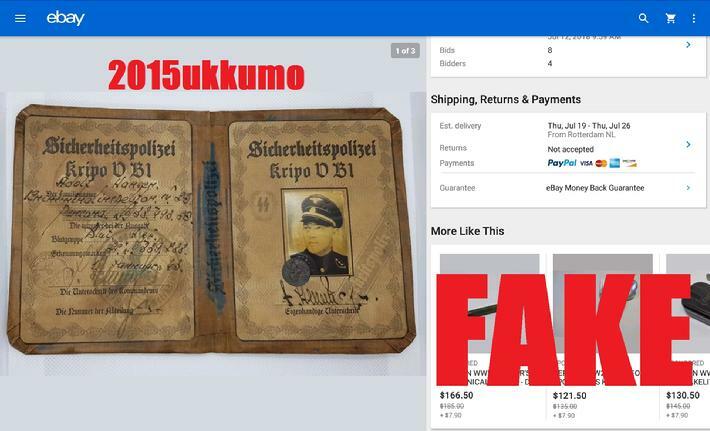 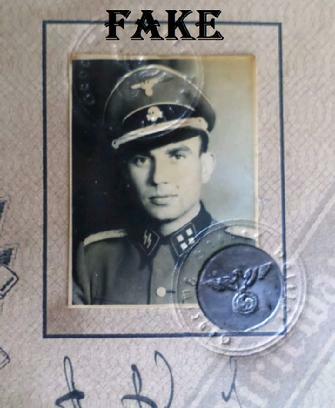 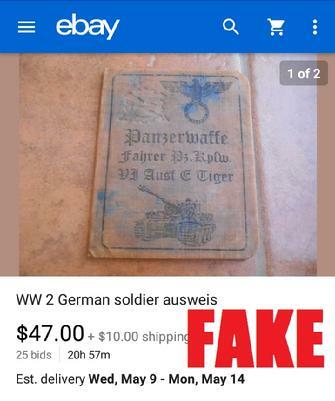 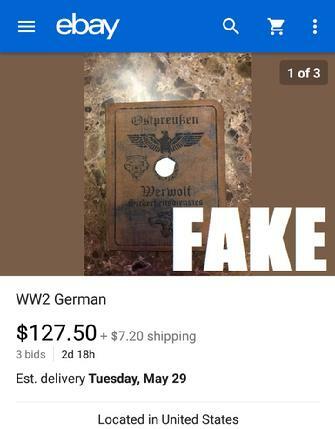 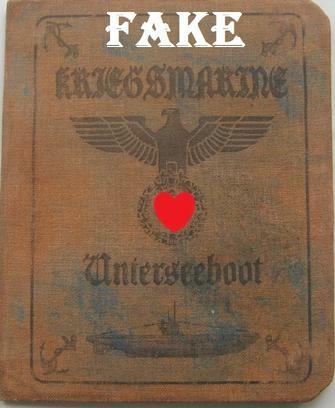 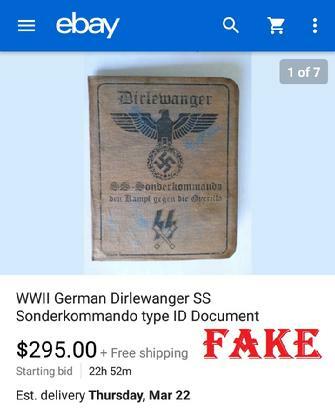 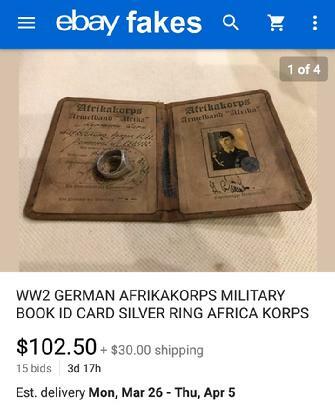 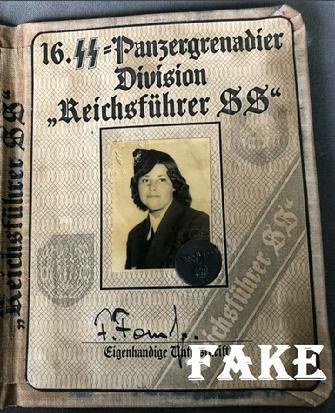 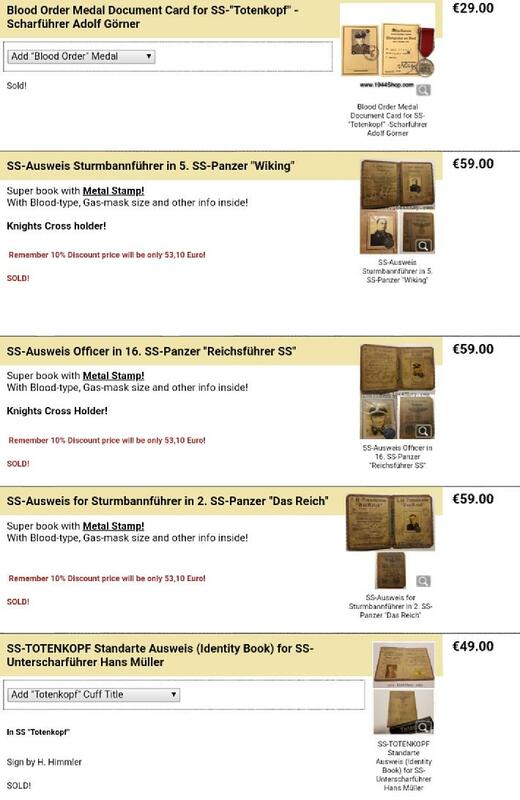 I don’t know which is worse, the pathetic people selling them or the ones buying them; these idiots have even posted ID's signed by Himmler. 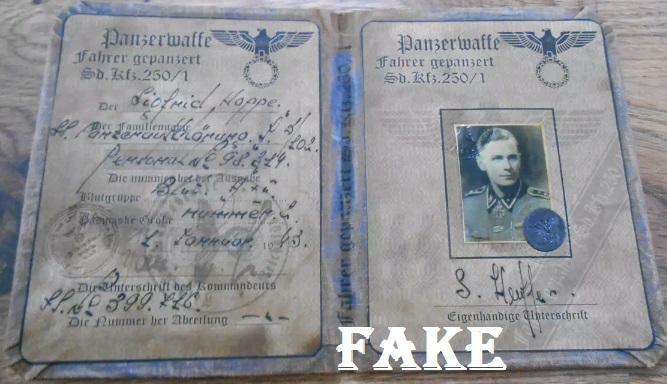 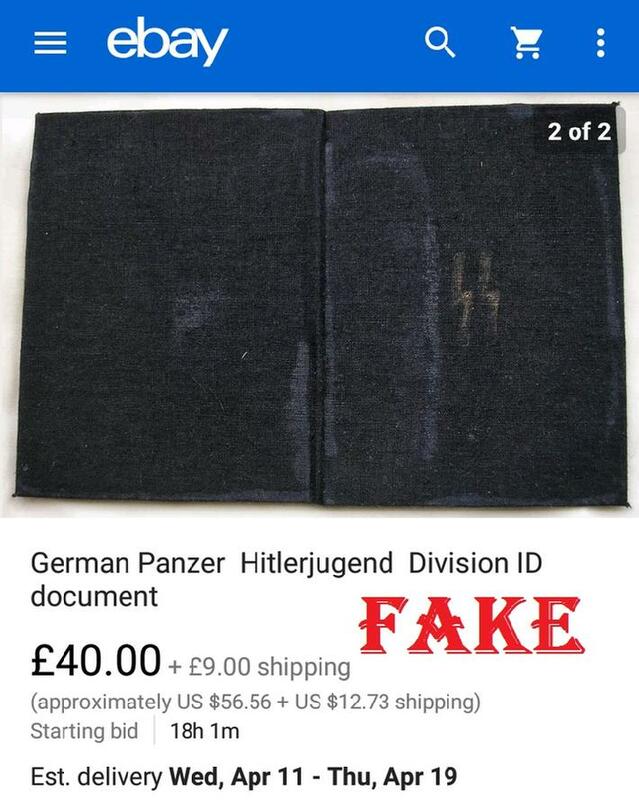 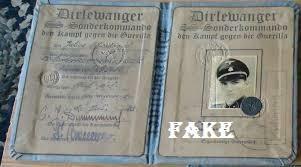 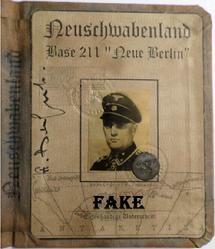 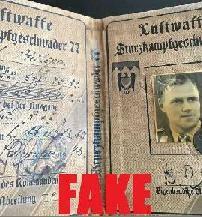 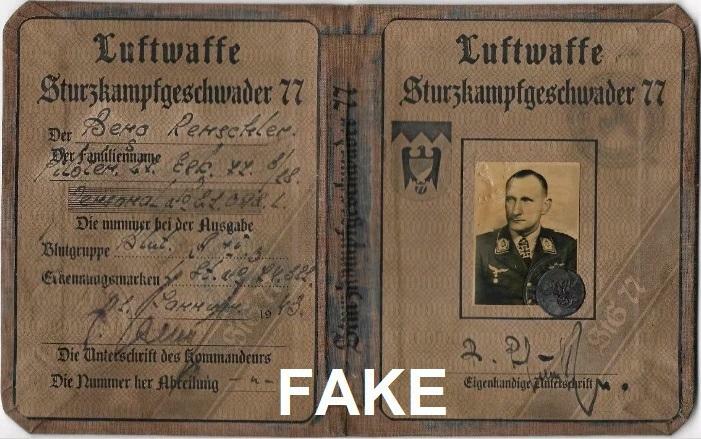 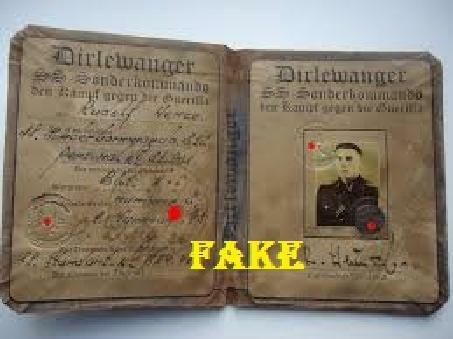 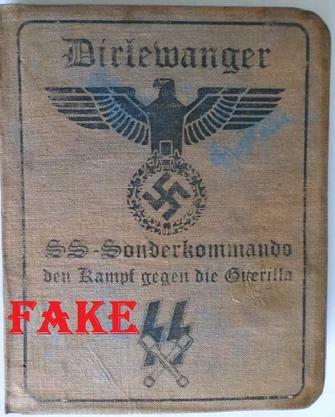 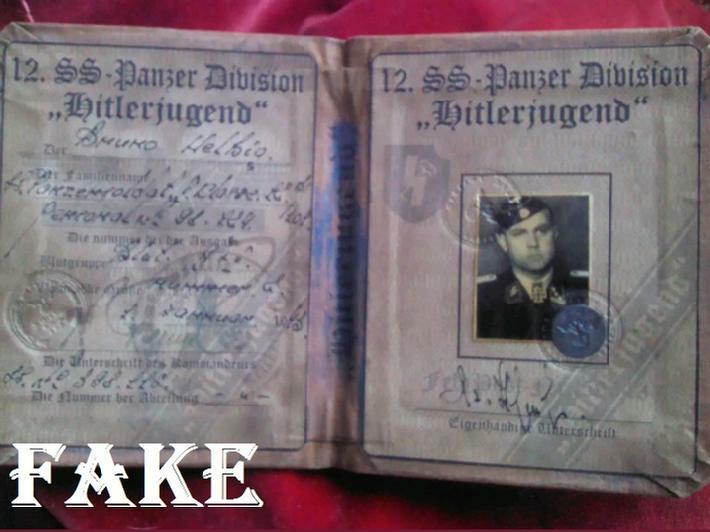 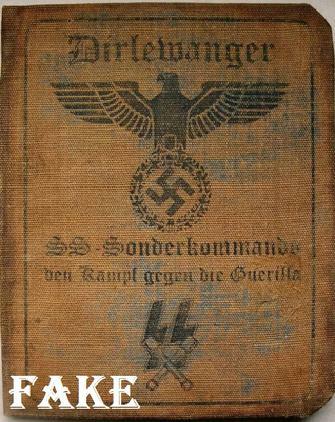 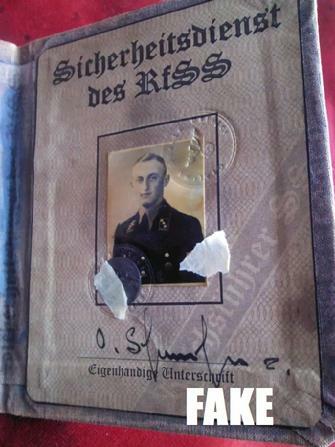 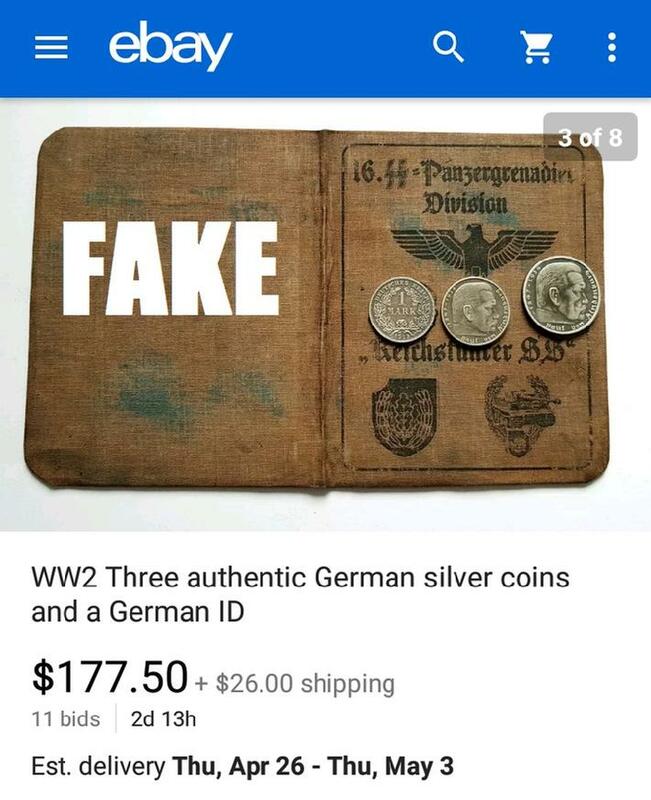 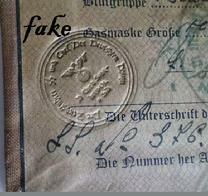 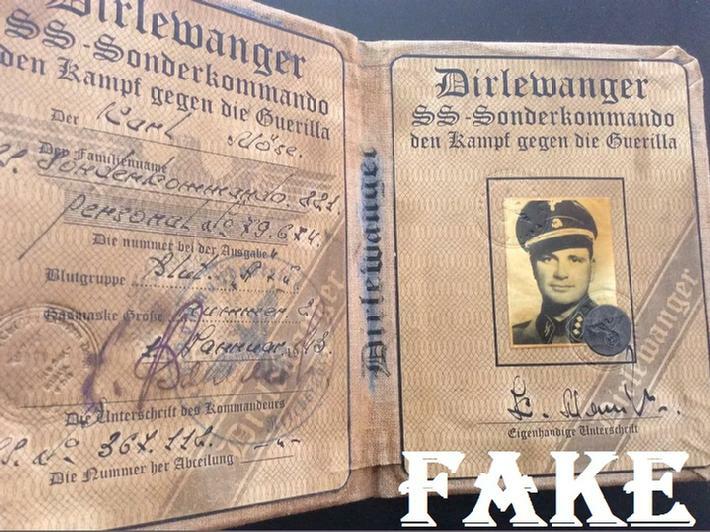 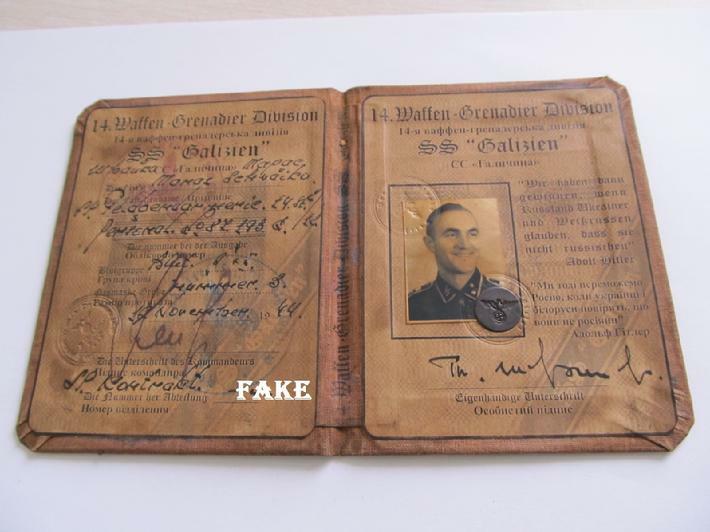 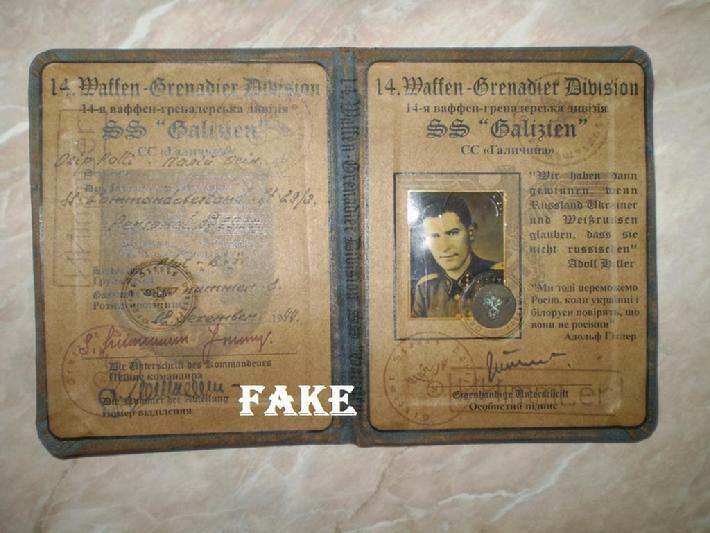 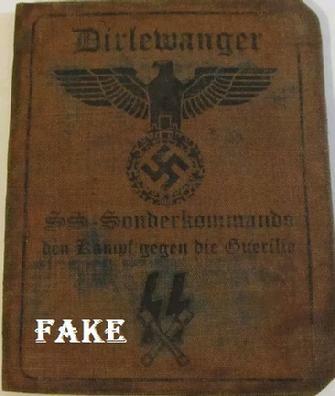 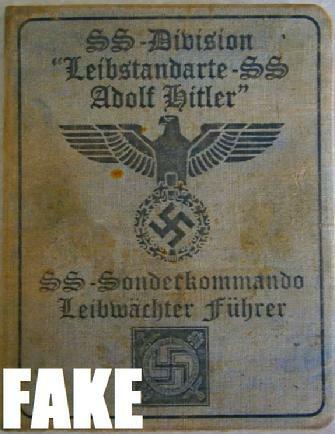 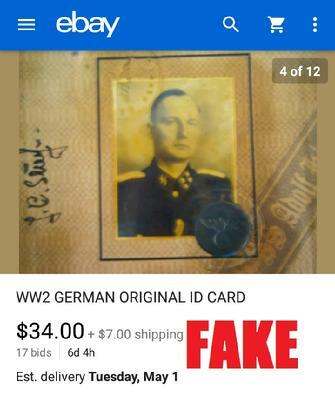 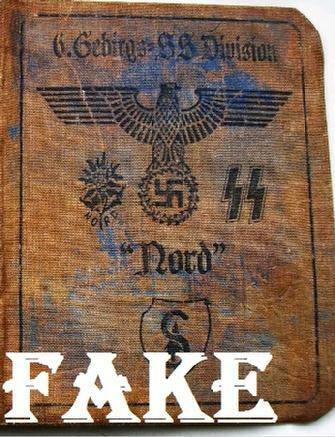 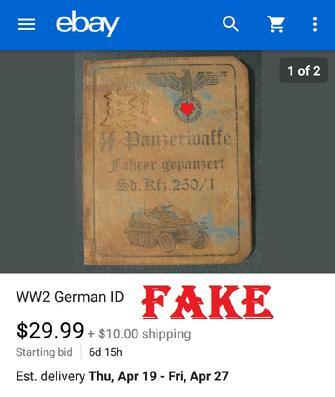 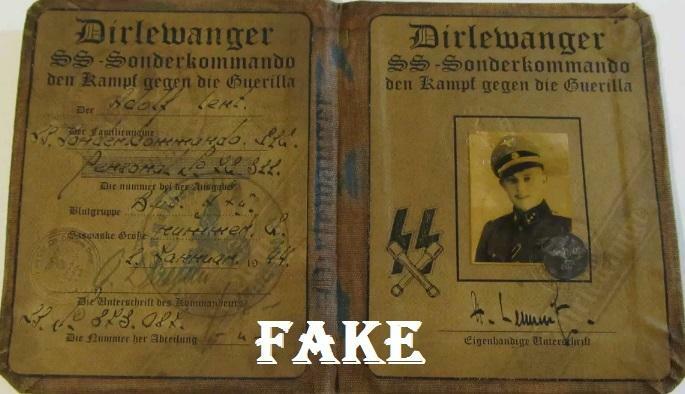 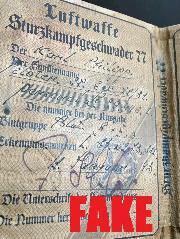 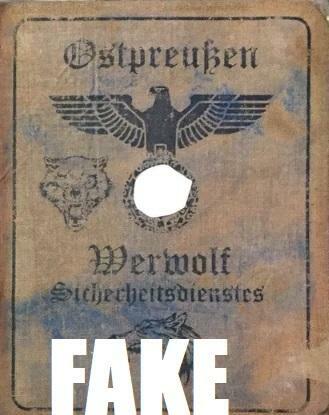 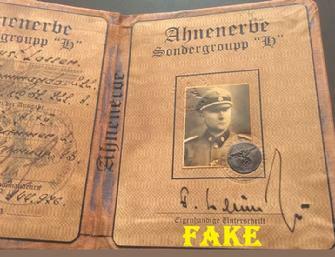 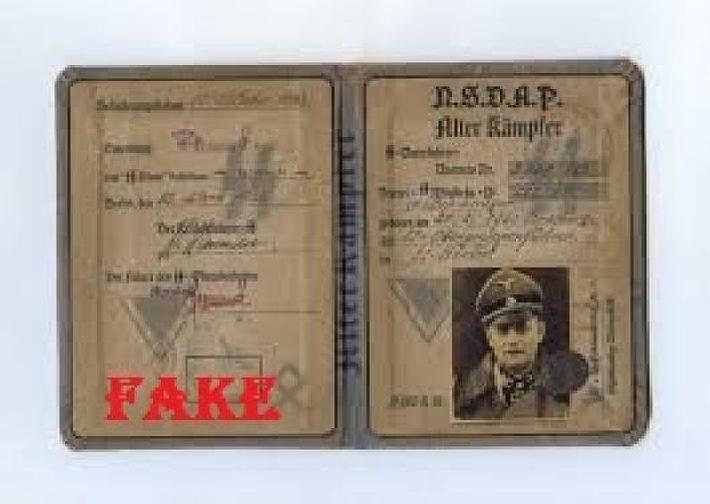 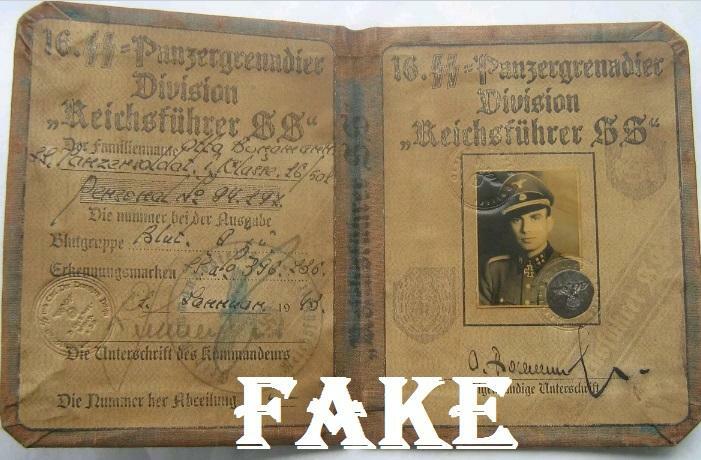 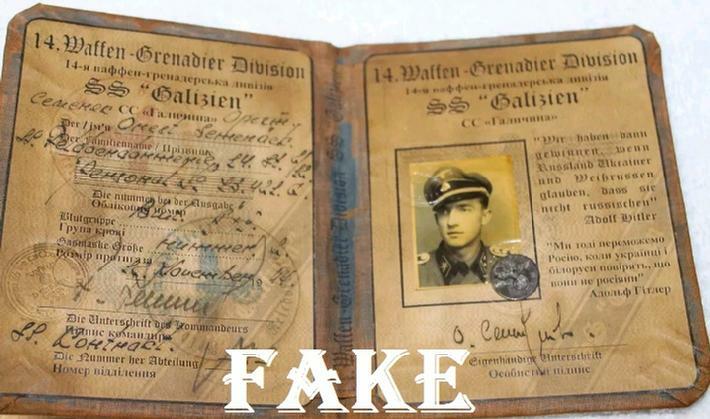 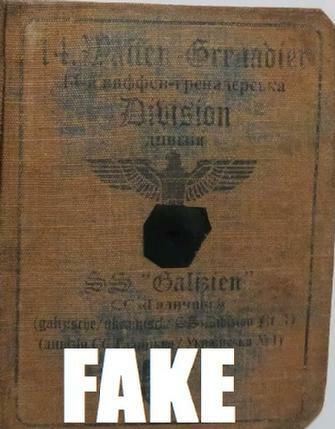 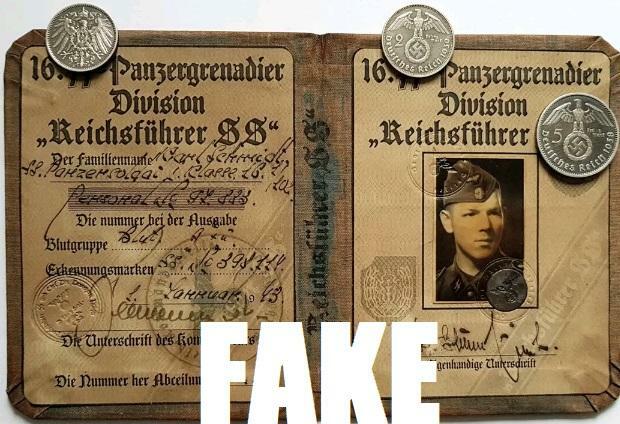 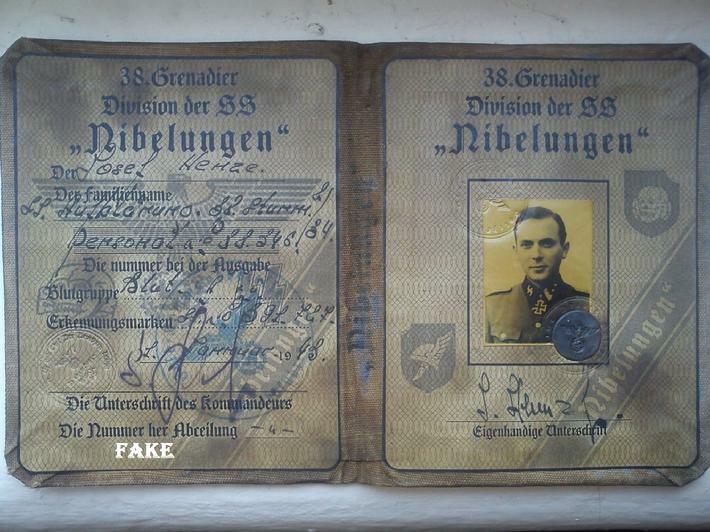 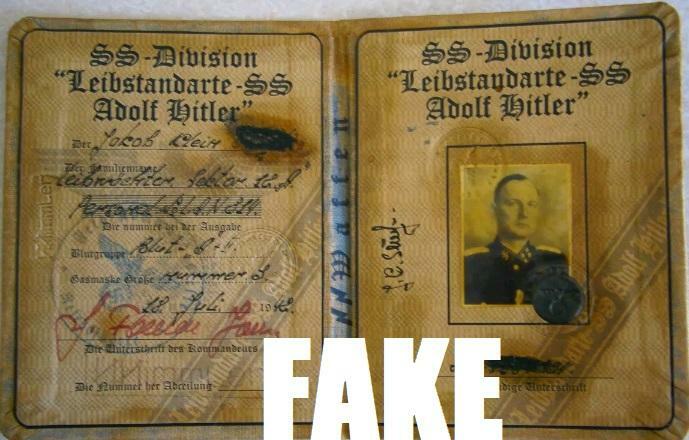 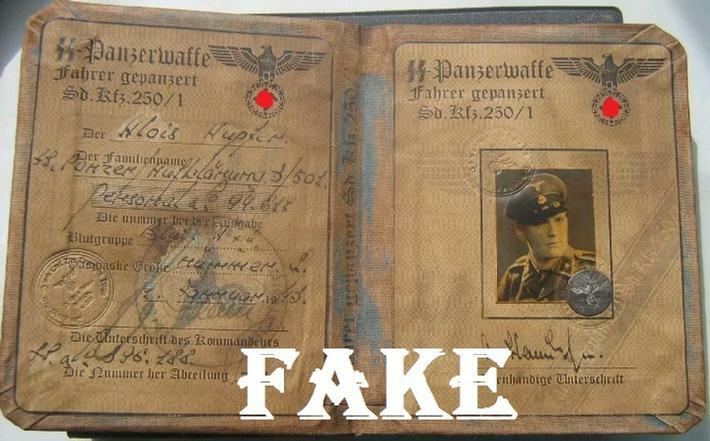 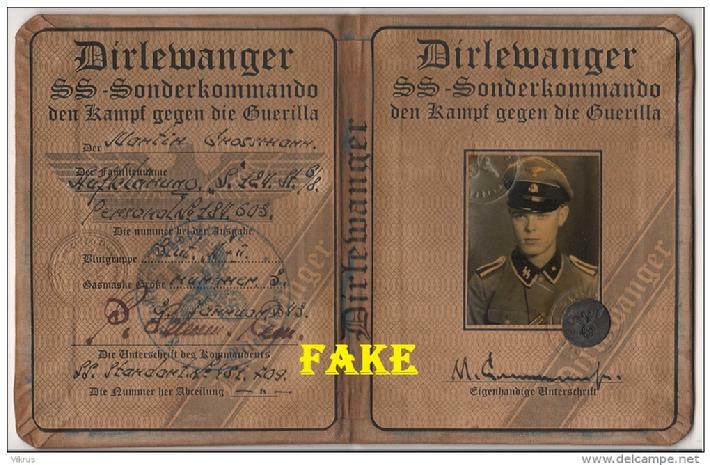 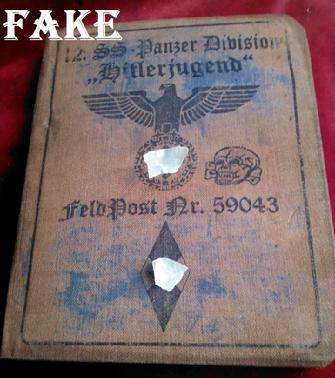 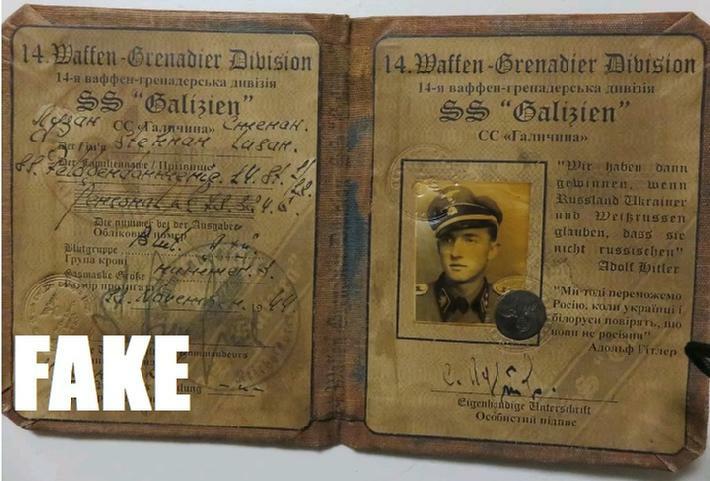 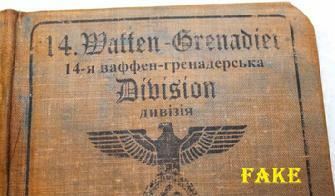 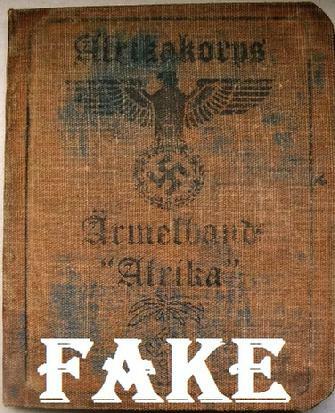 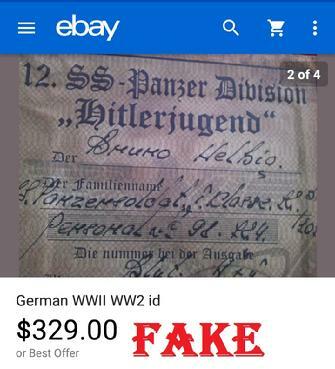 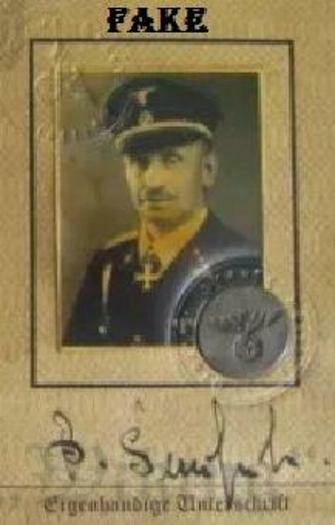 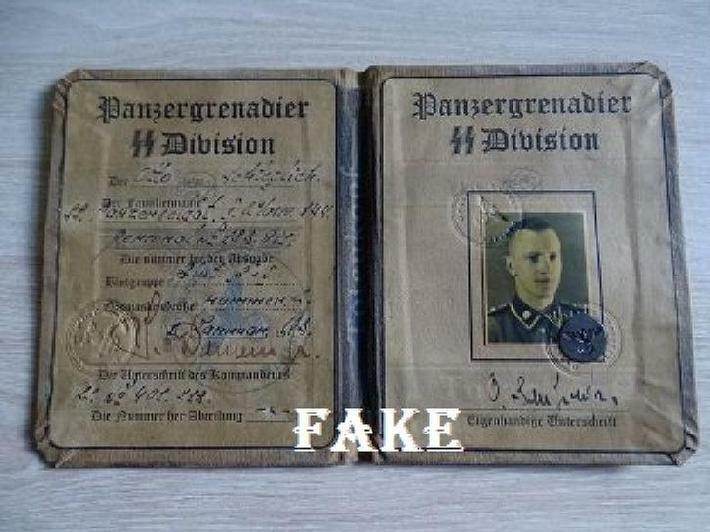 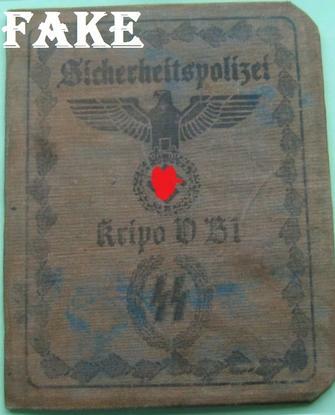 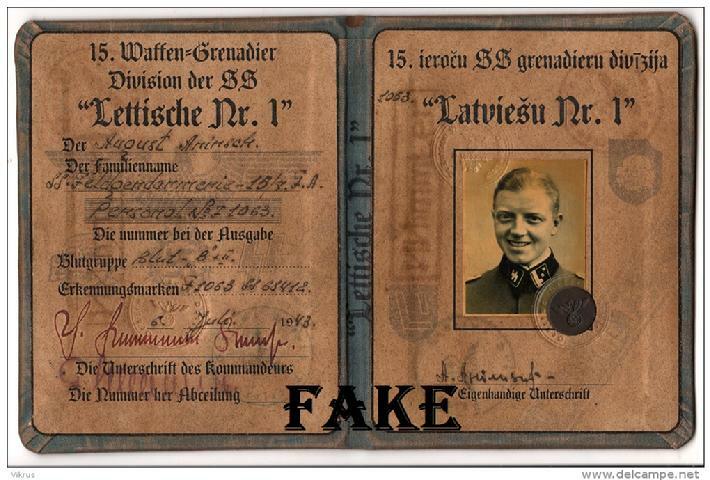 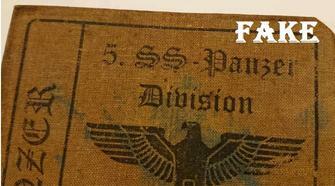 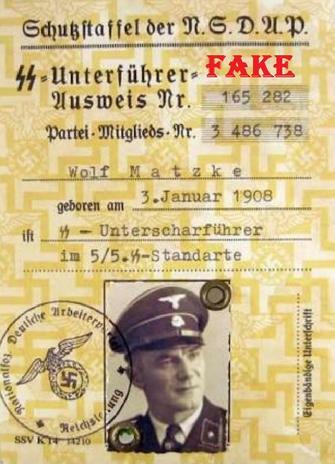 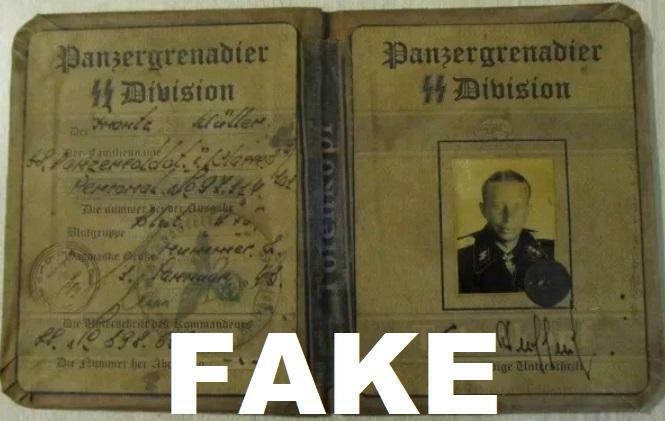 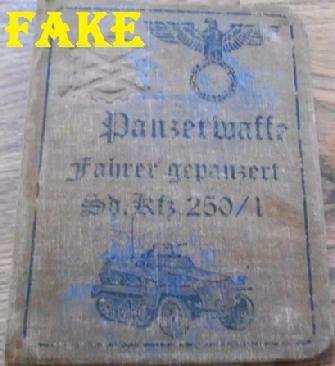 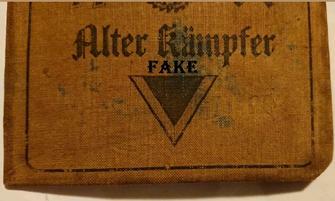 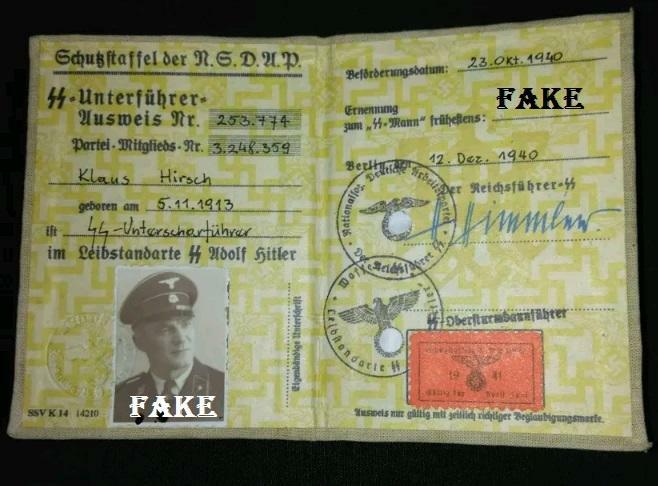 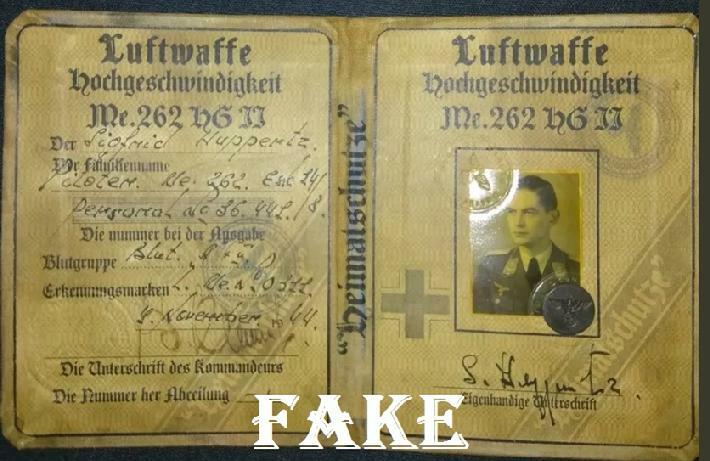 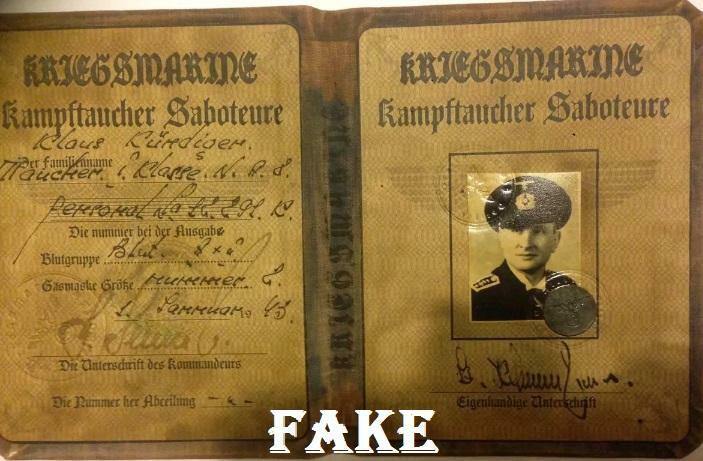 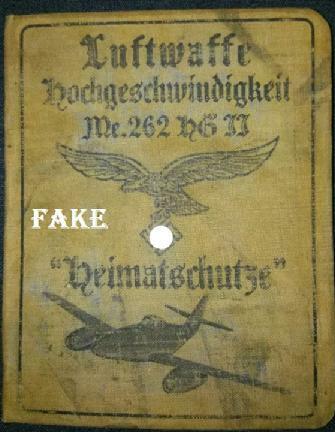 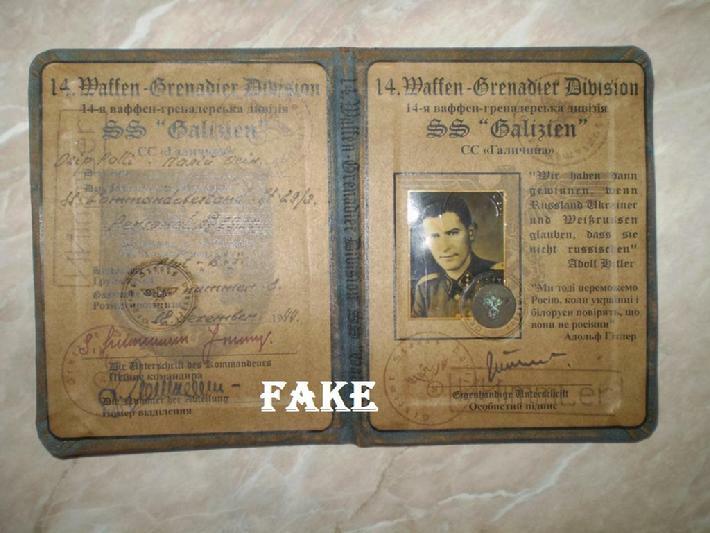 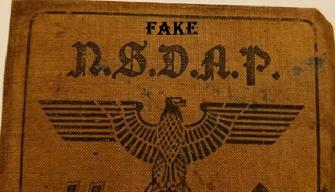 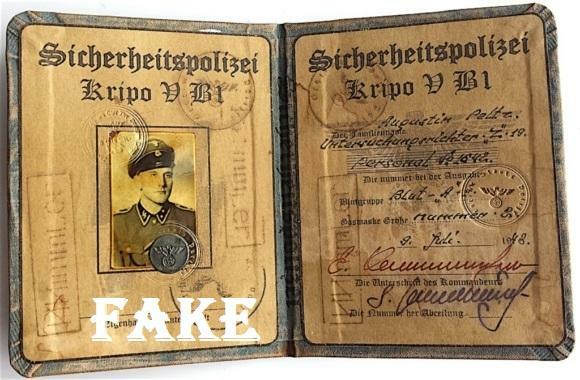 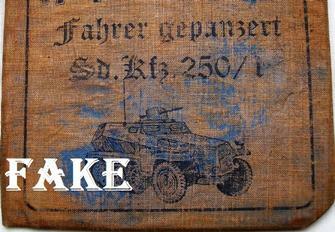 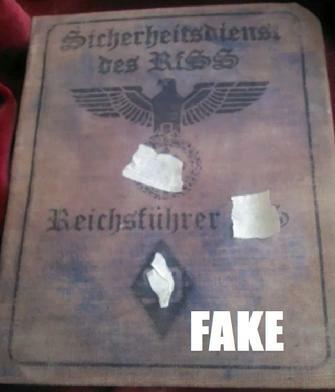 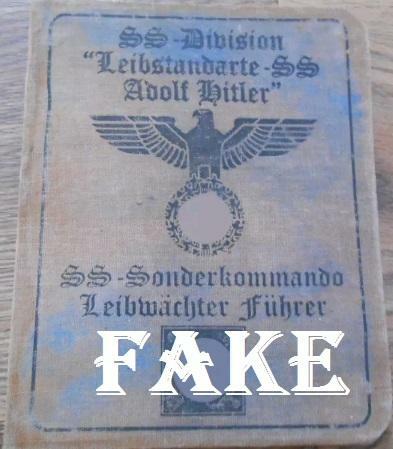 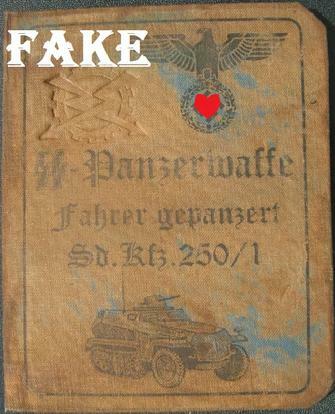 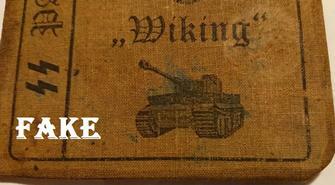 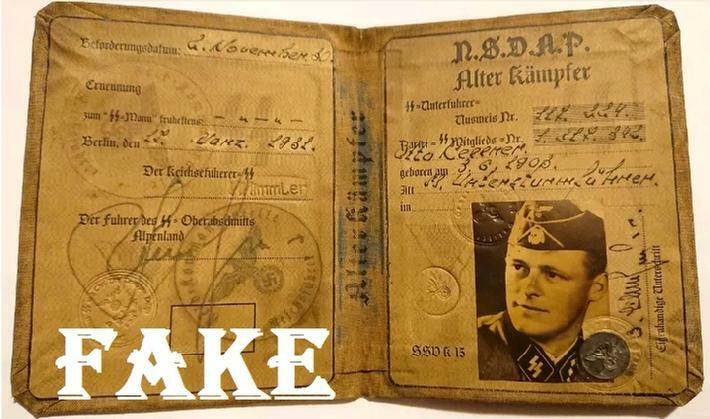 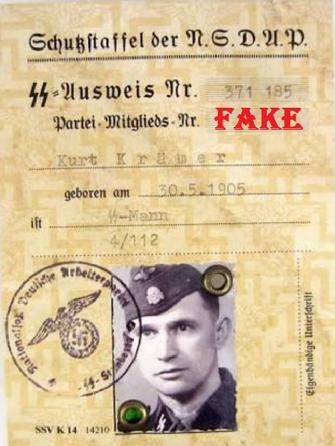 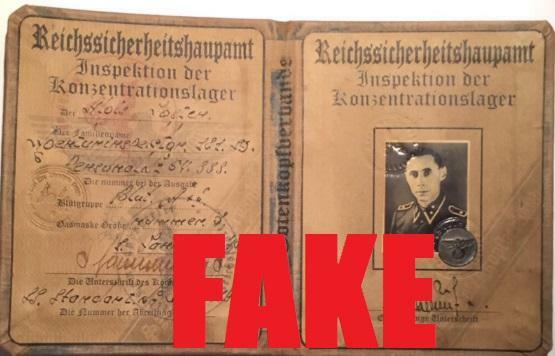 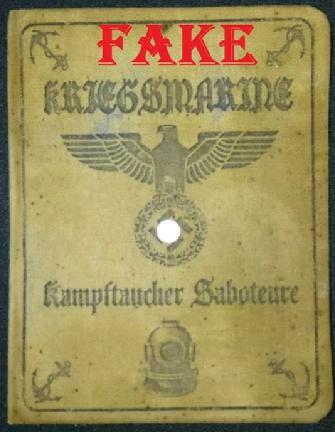 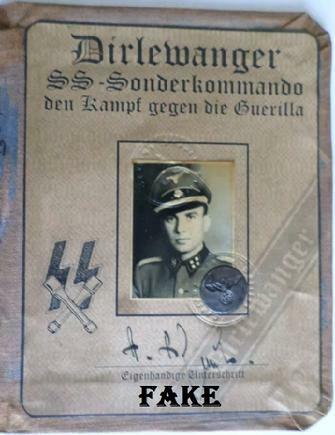 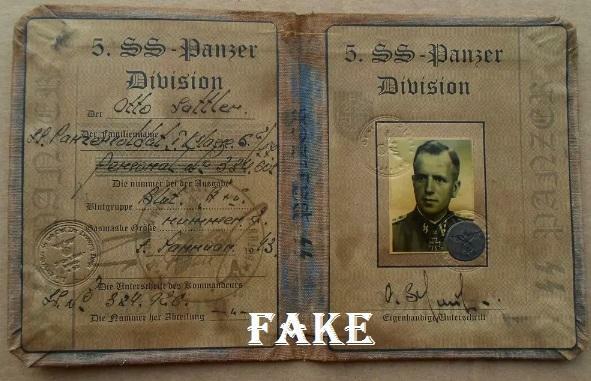 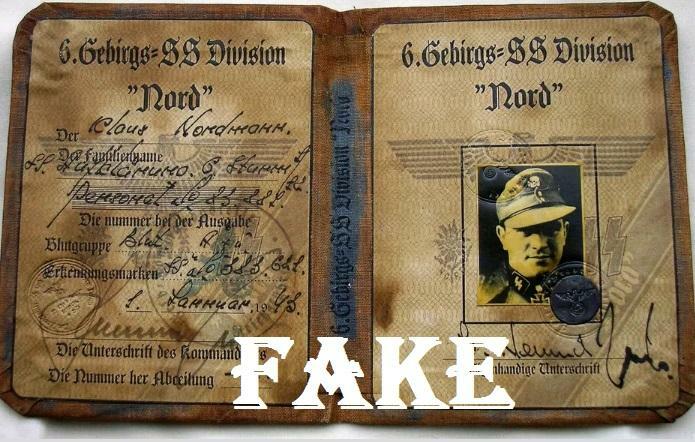 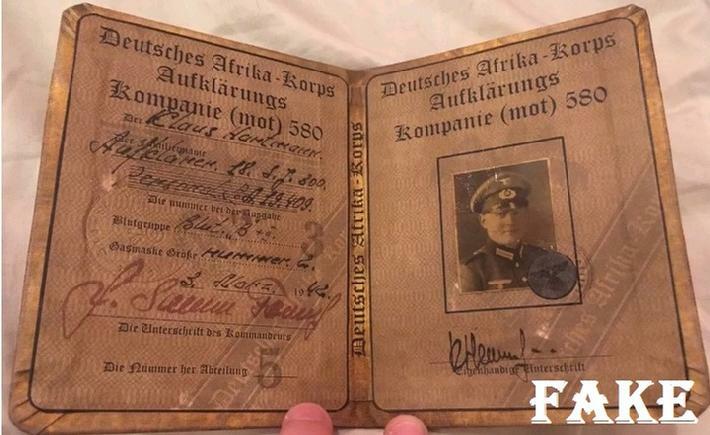 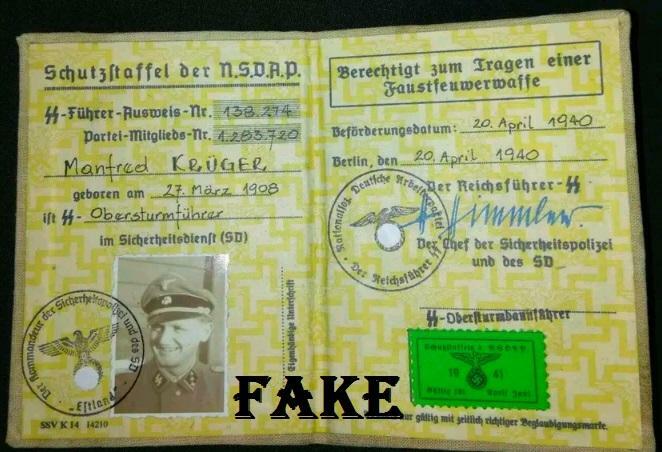 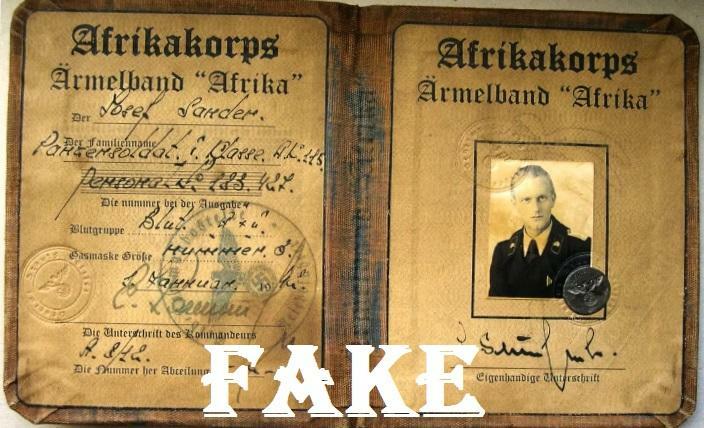 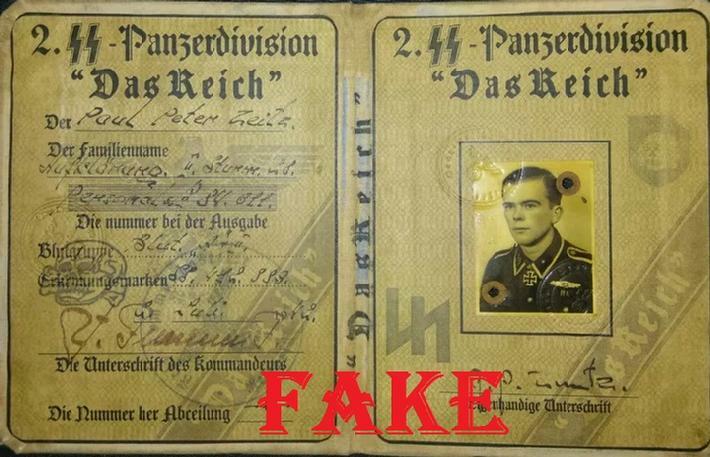 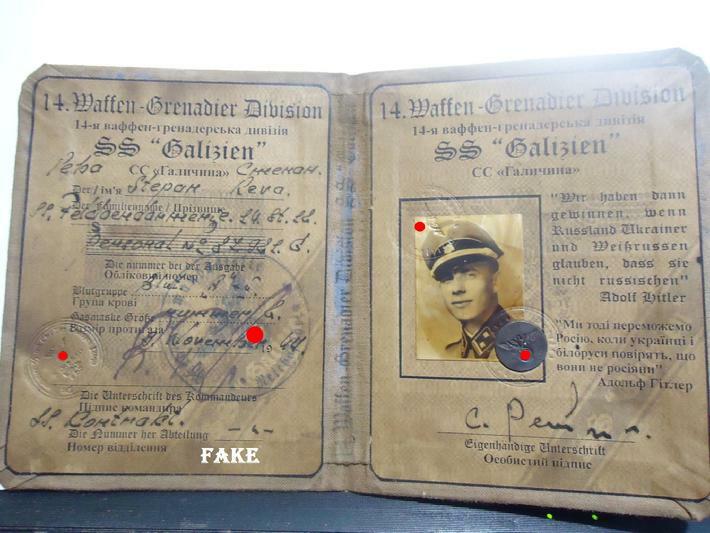 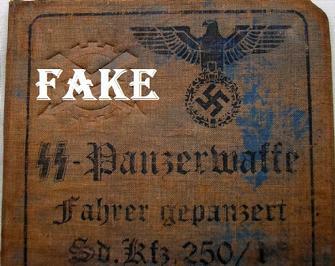 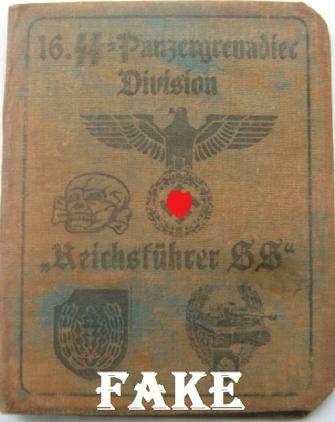 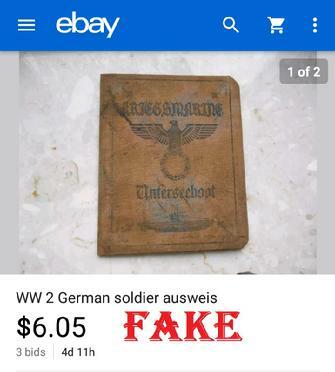 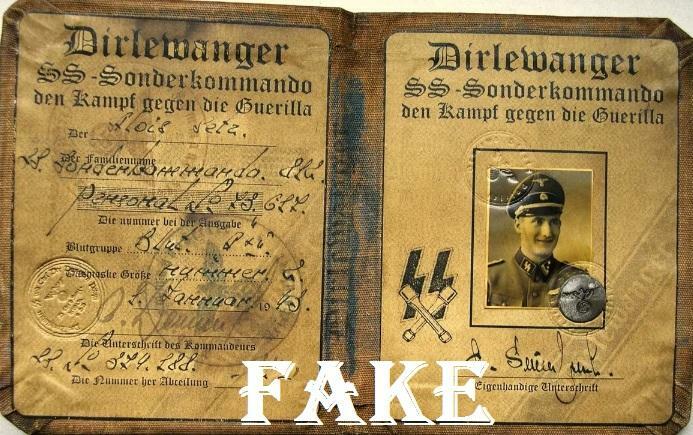 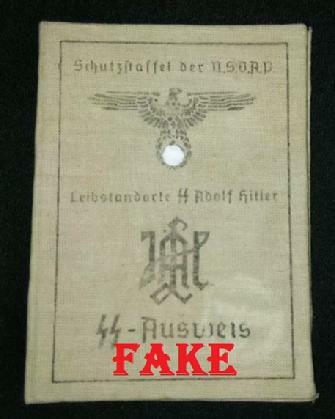 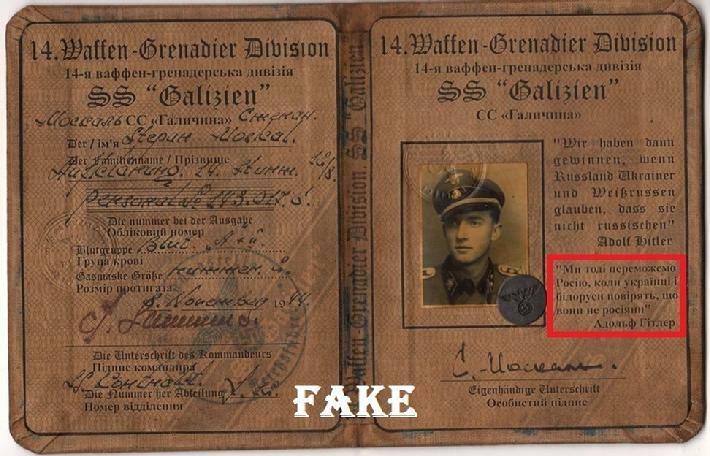 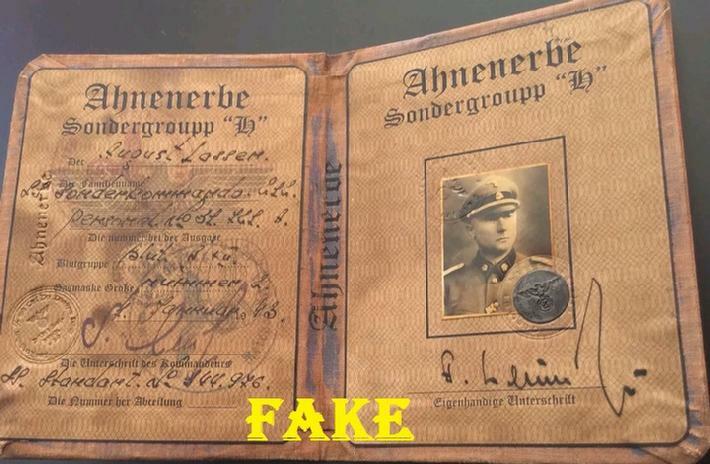 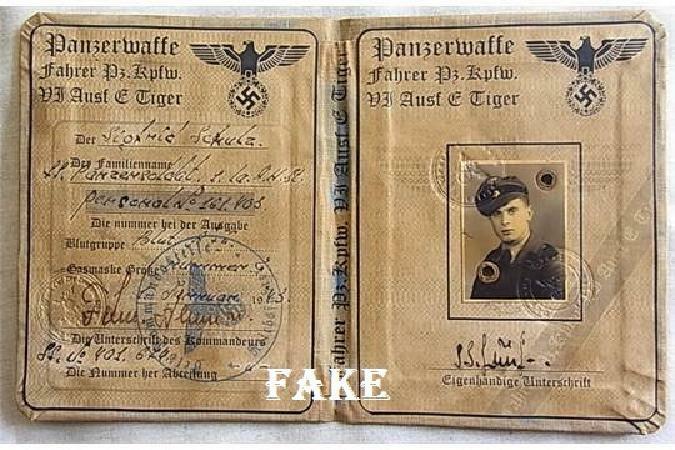 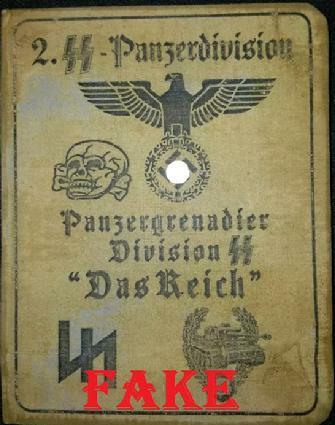 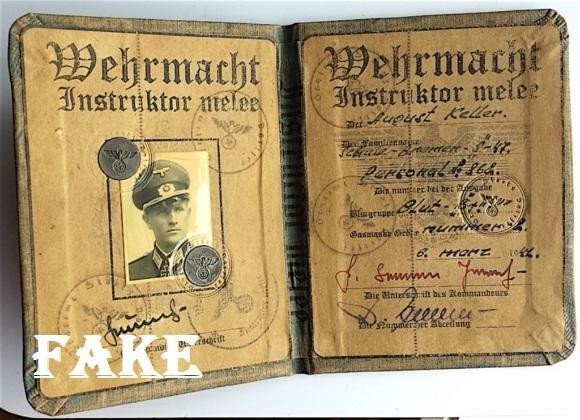 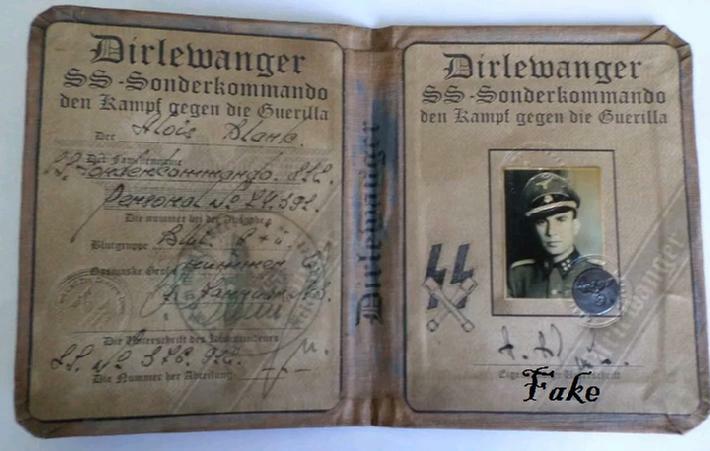 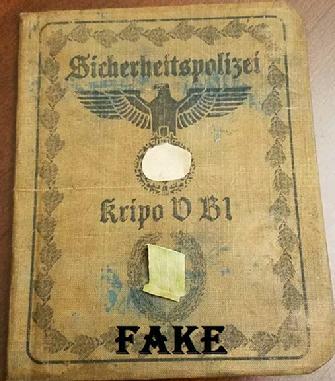 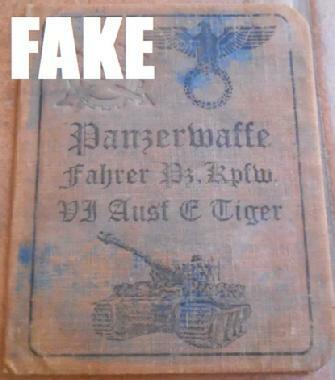 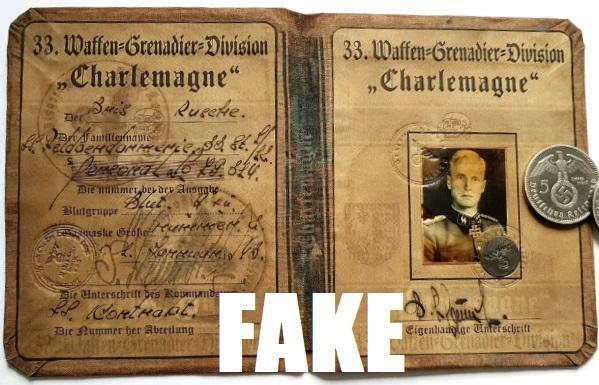 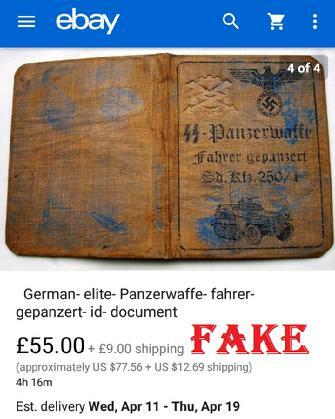 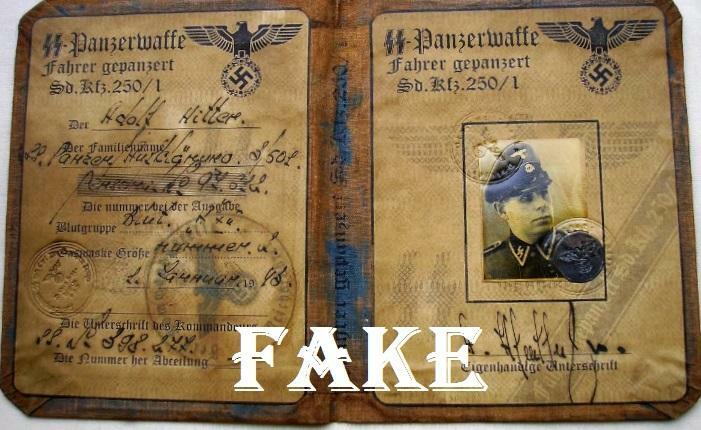 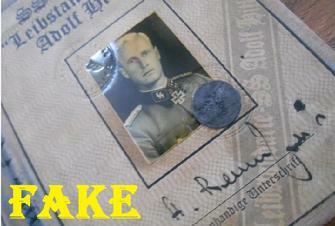 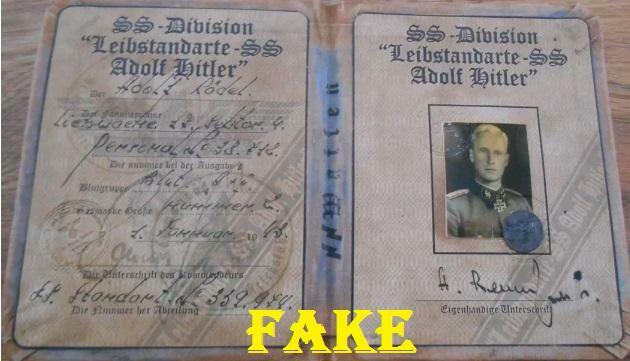 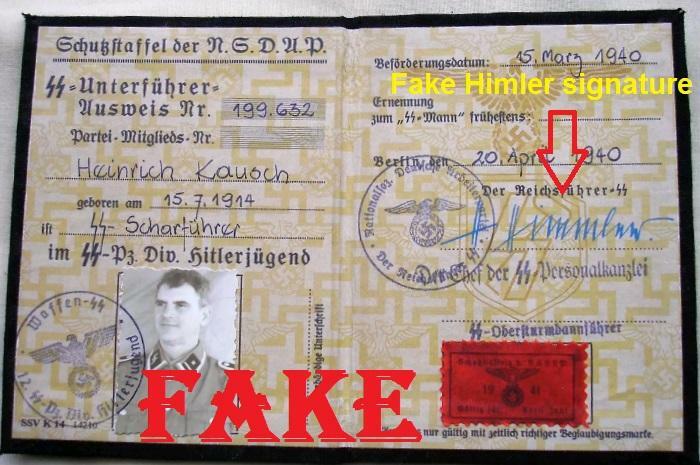 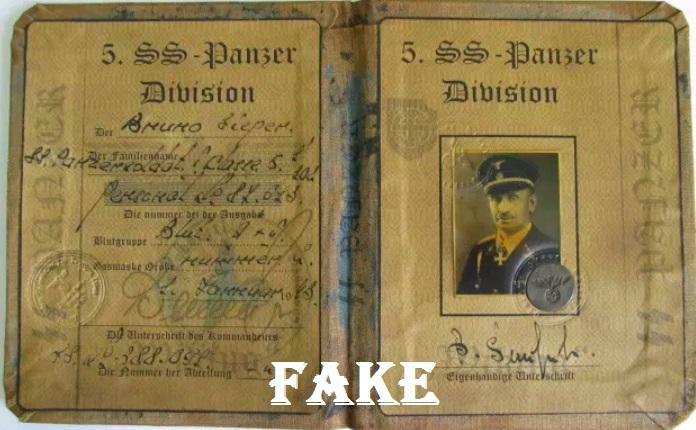 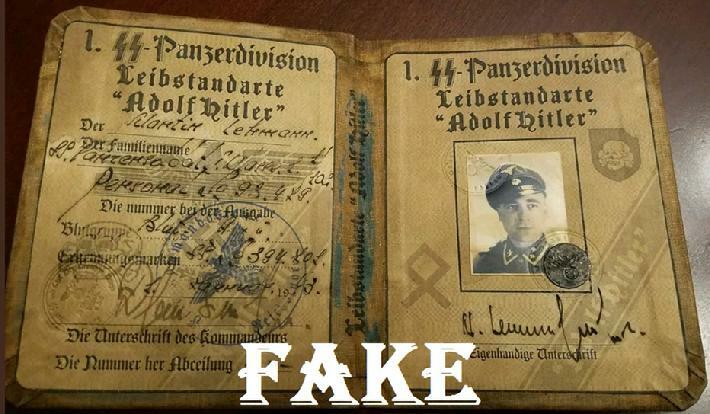 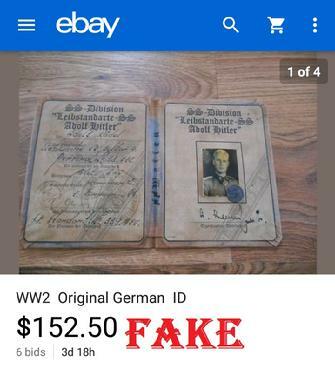 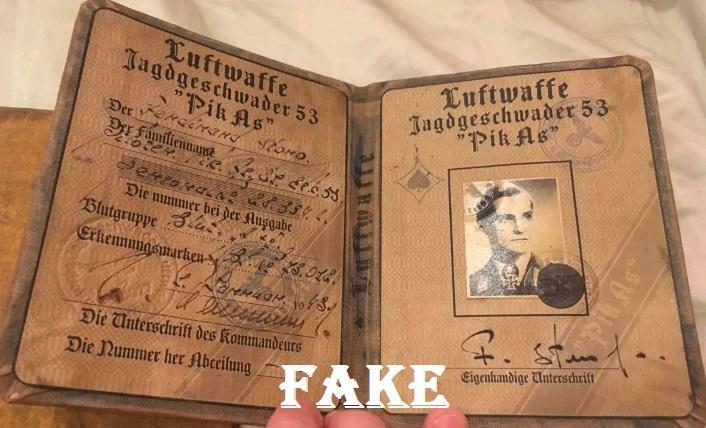 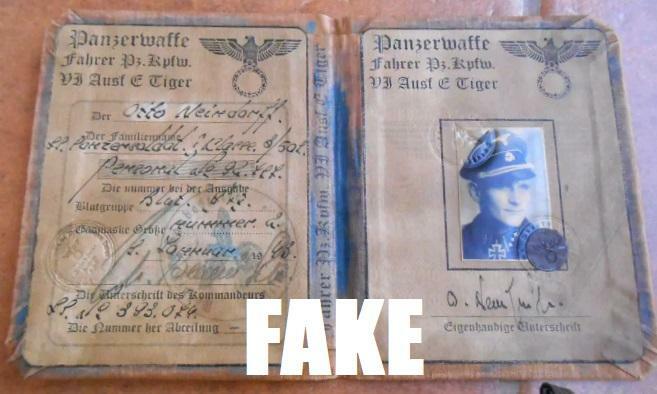 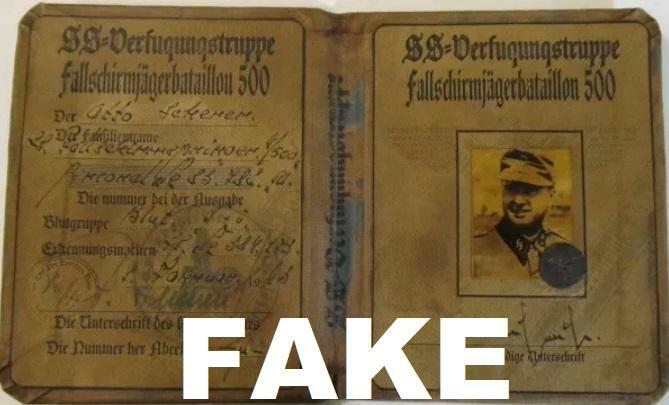 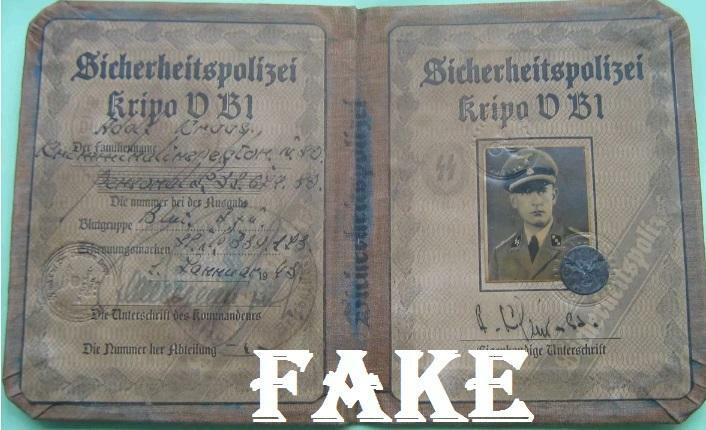 I'm surprised Hitlers ID hasn't been listed on eBay, though I did find a fake with his forged signature on it. 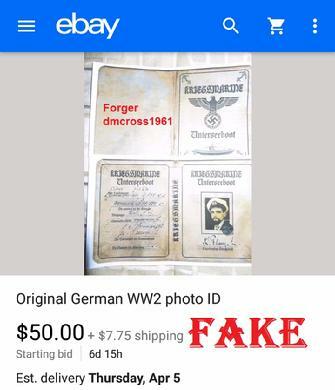 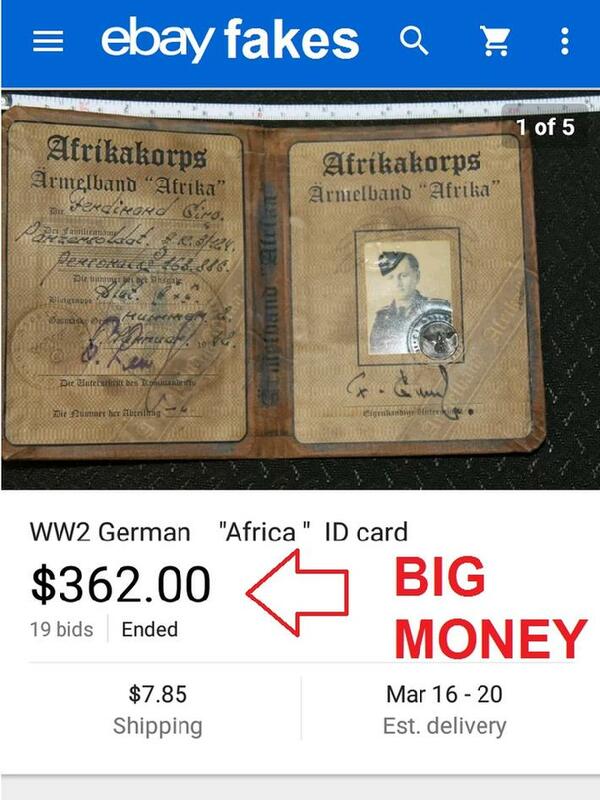 This is the second time I've seen this same ID sold on ebay using the same photo's with a different seller name. 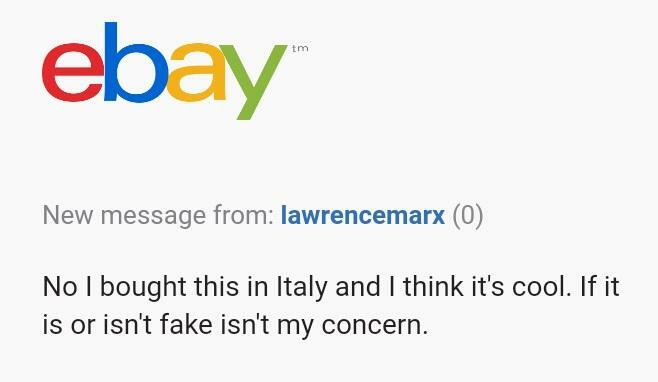 This is the first time lawrencemarx has sold anything on eBay. 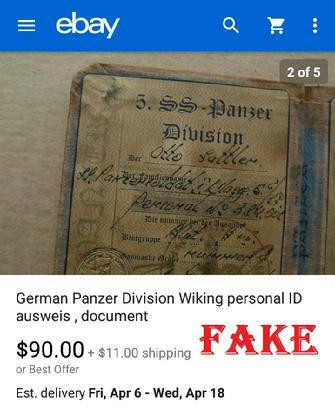 I Told Lawrence this ID is Fake, his response is below.